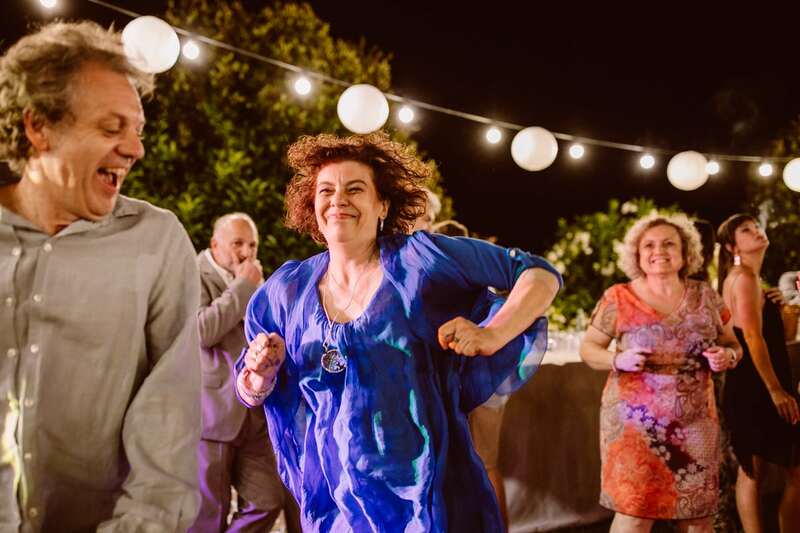 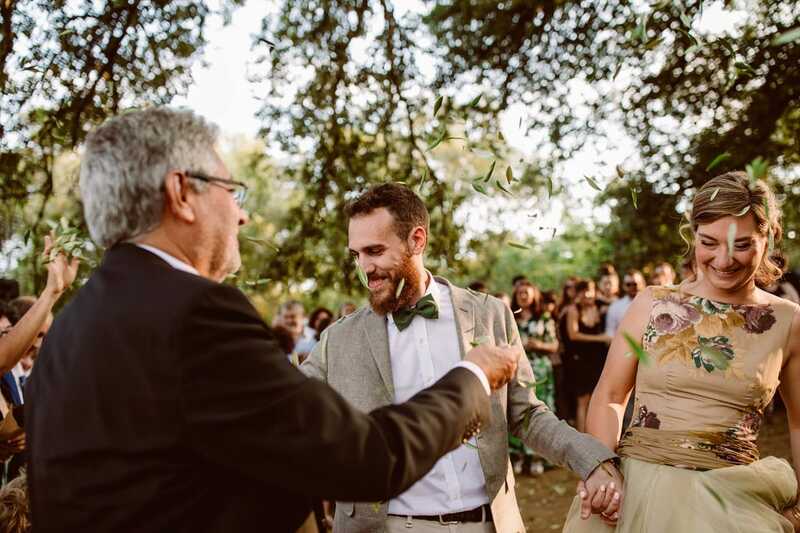 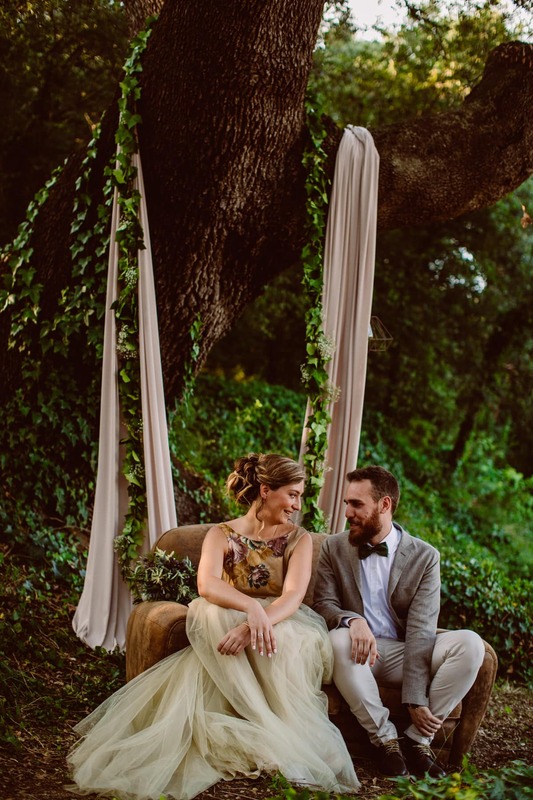 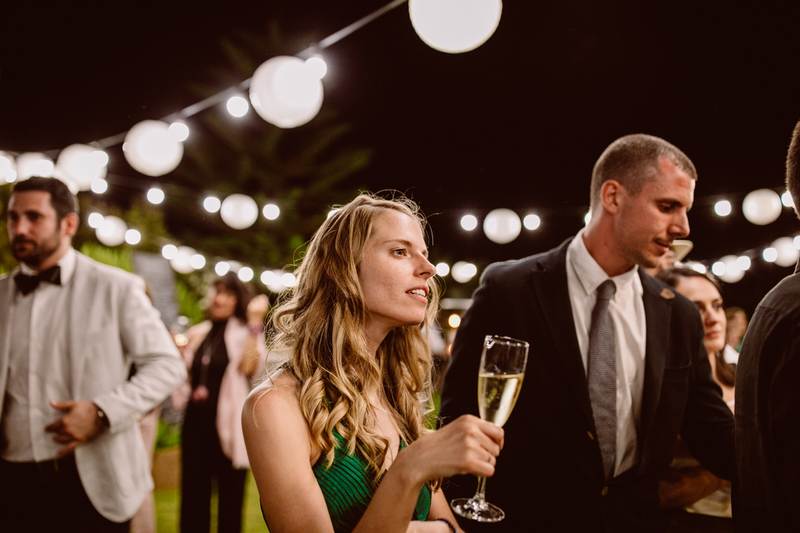 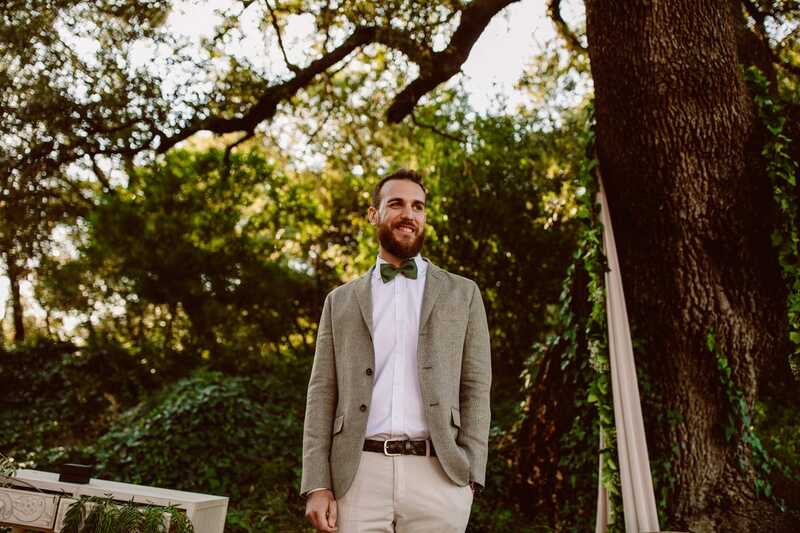 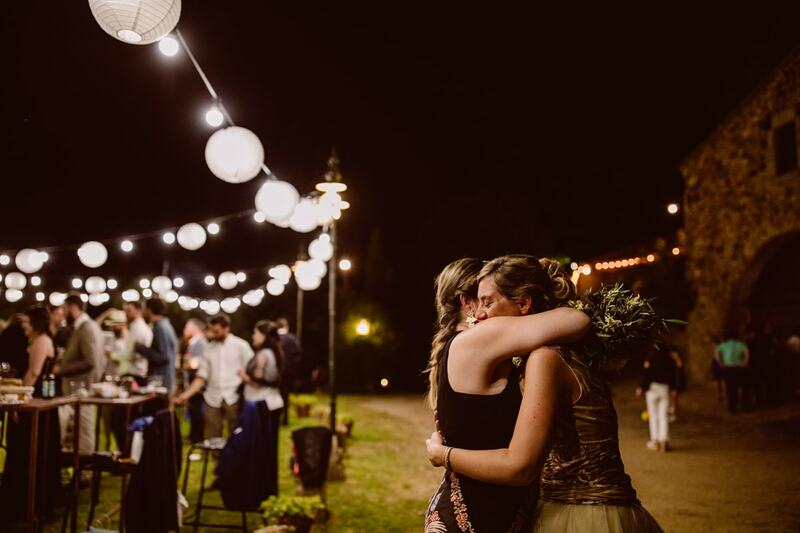 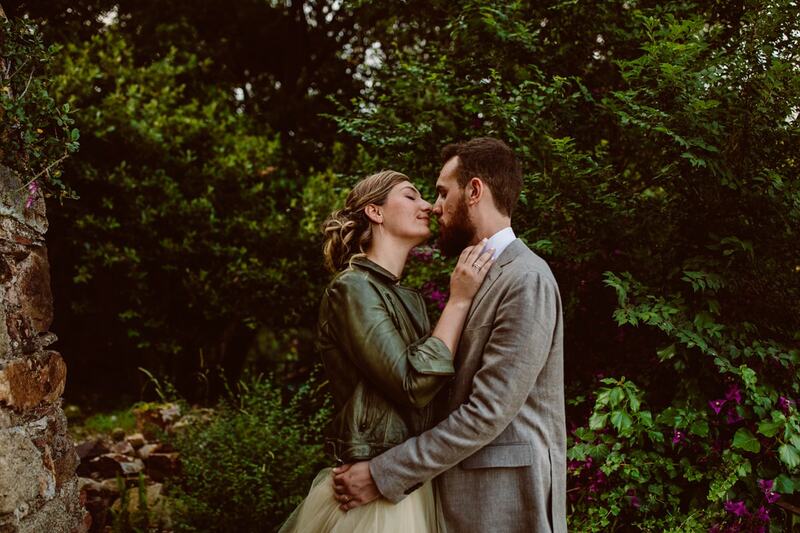 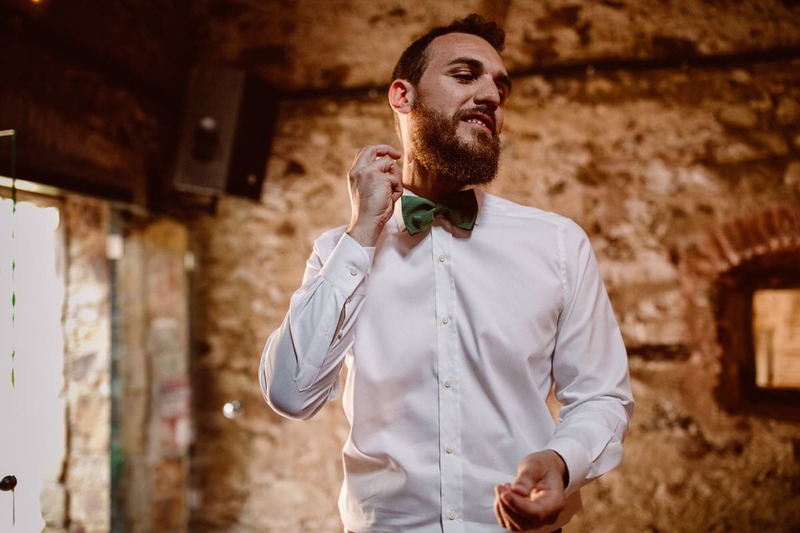 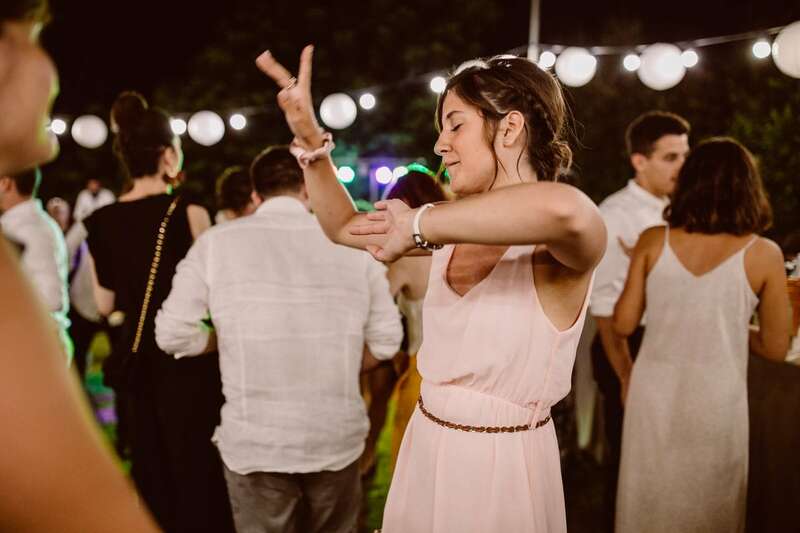 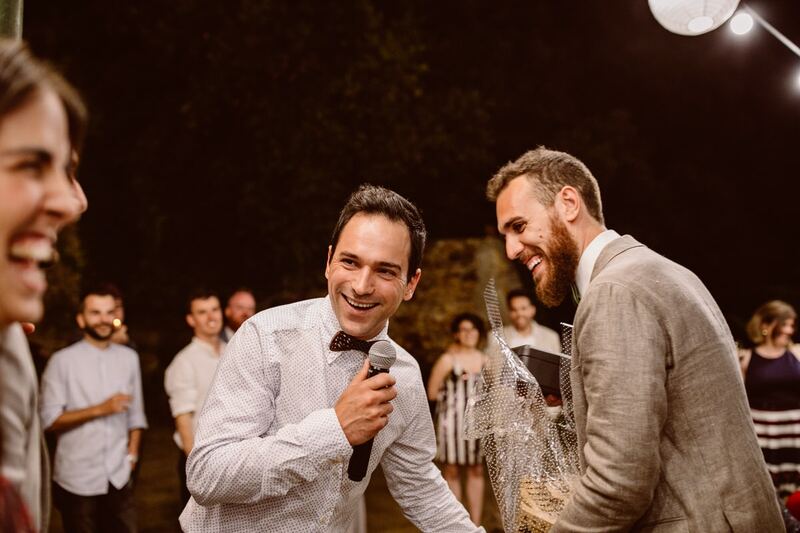 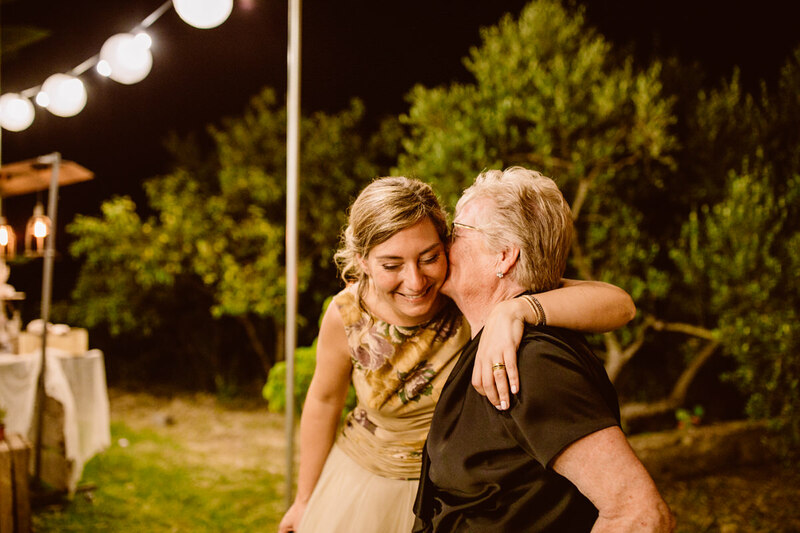 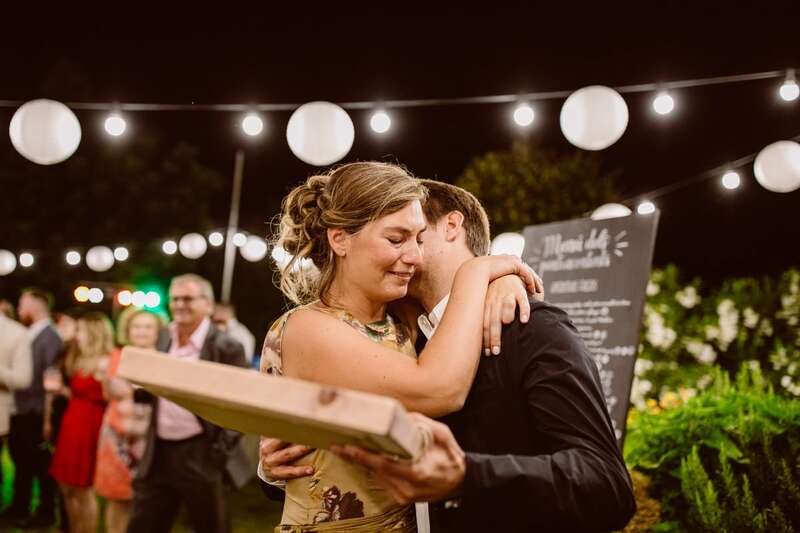 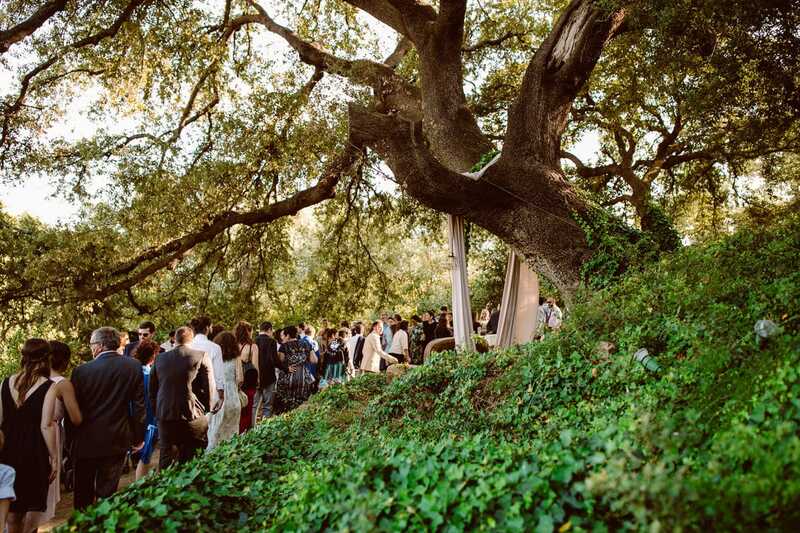 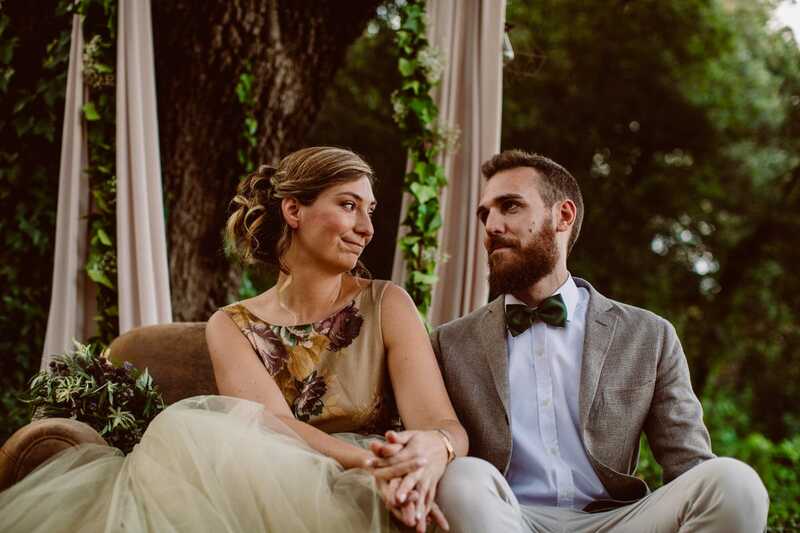 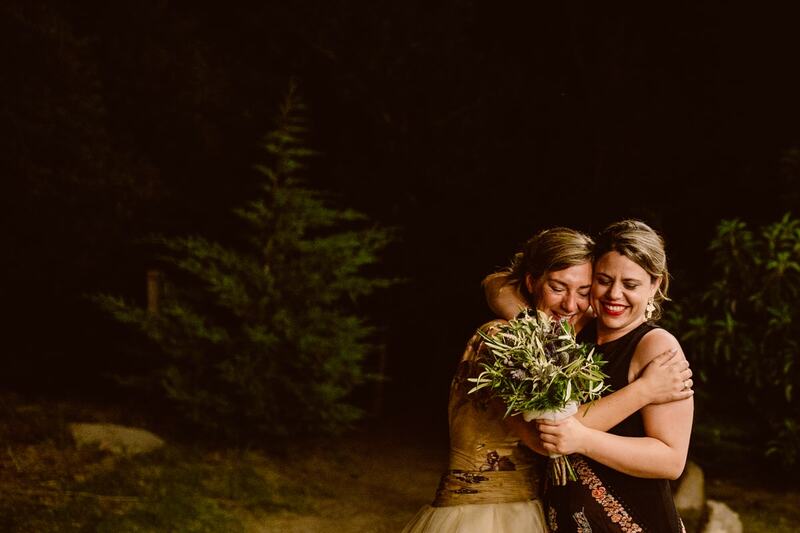 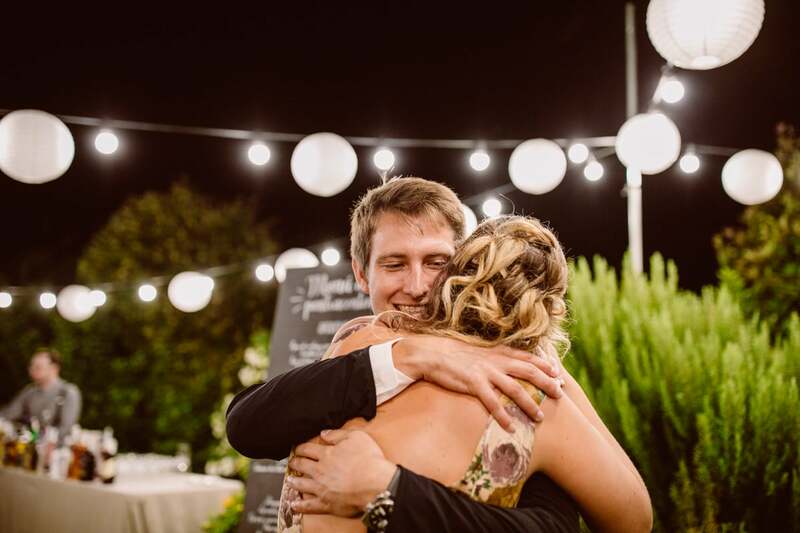 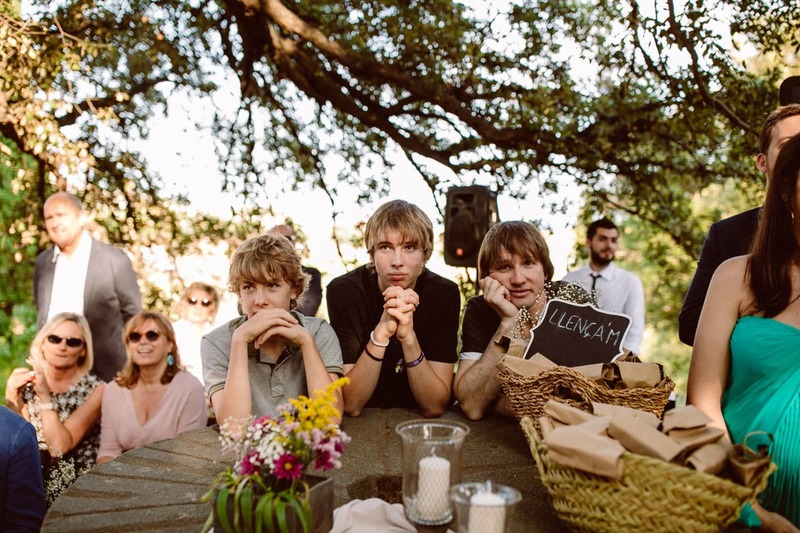 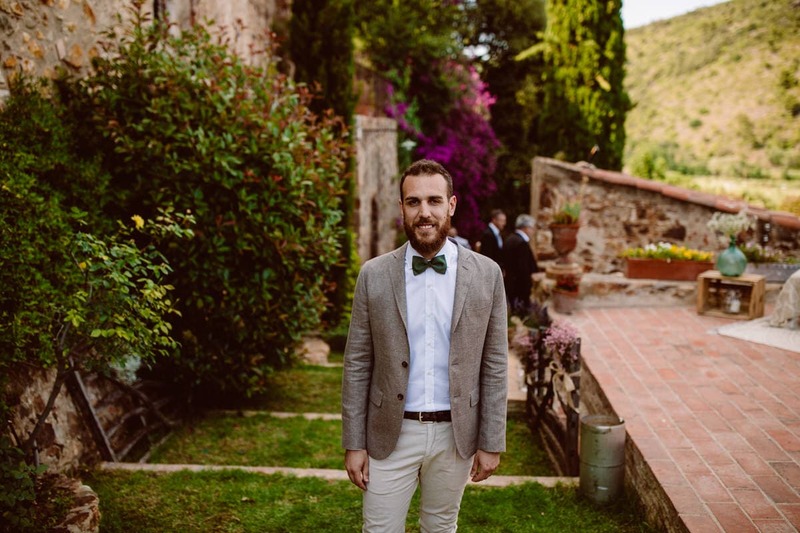 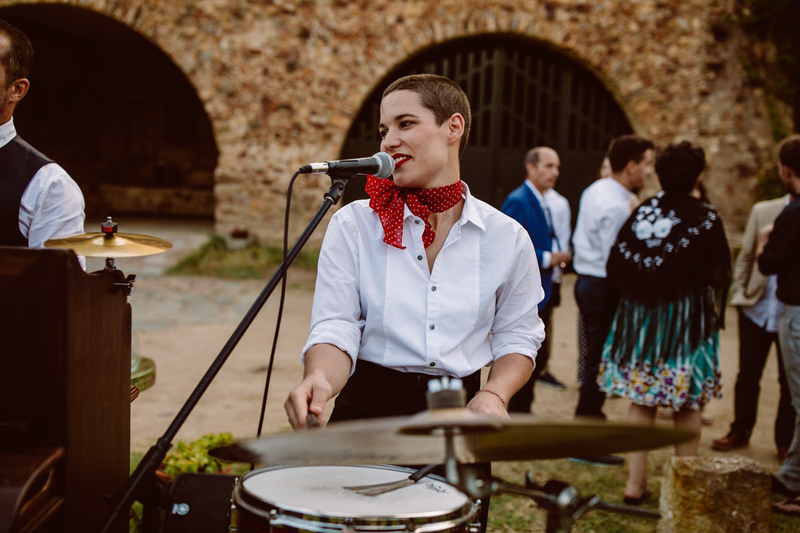 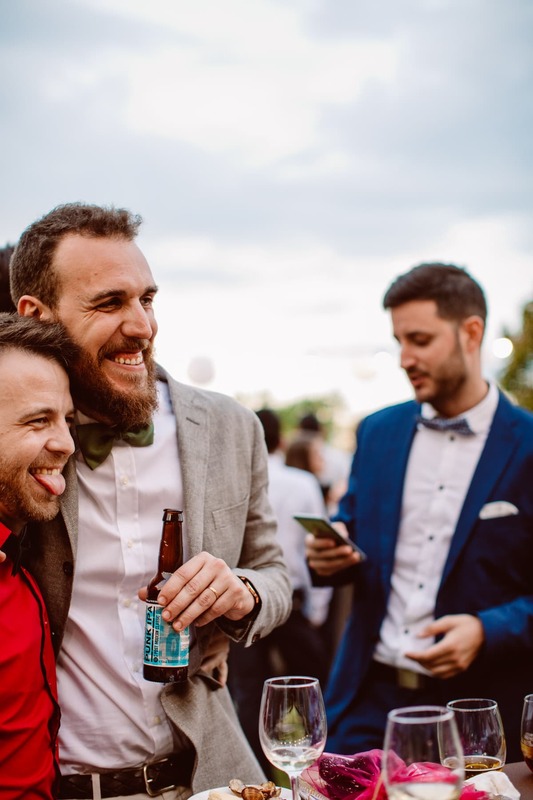 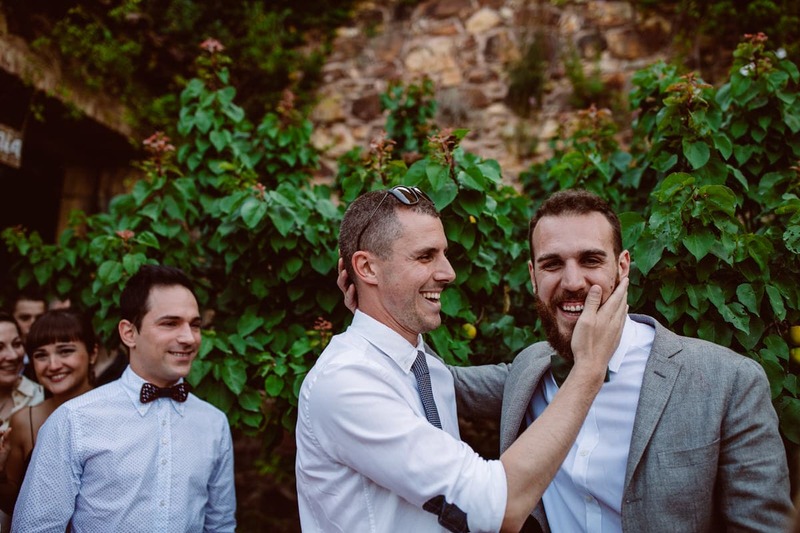 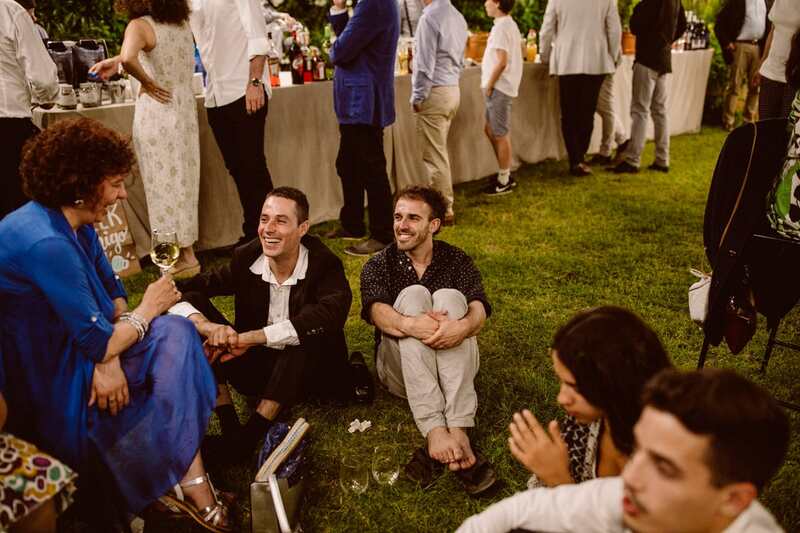 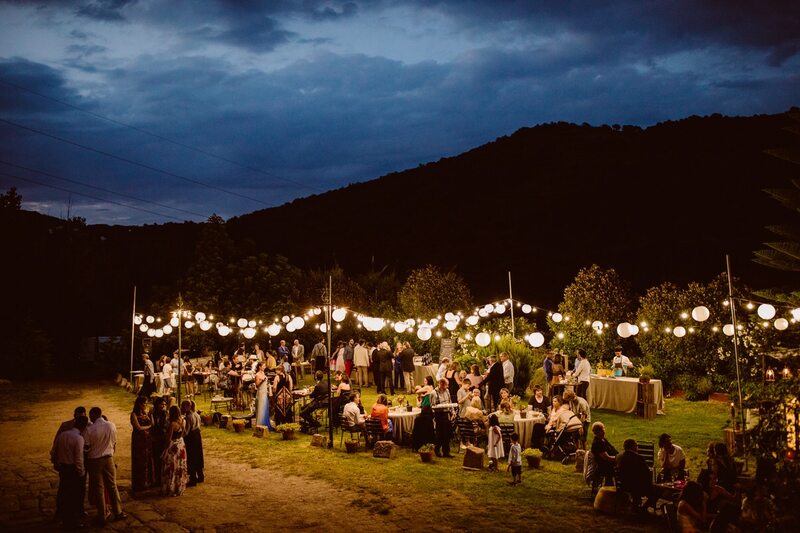 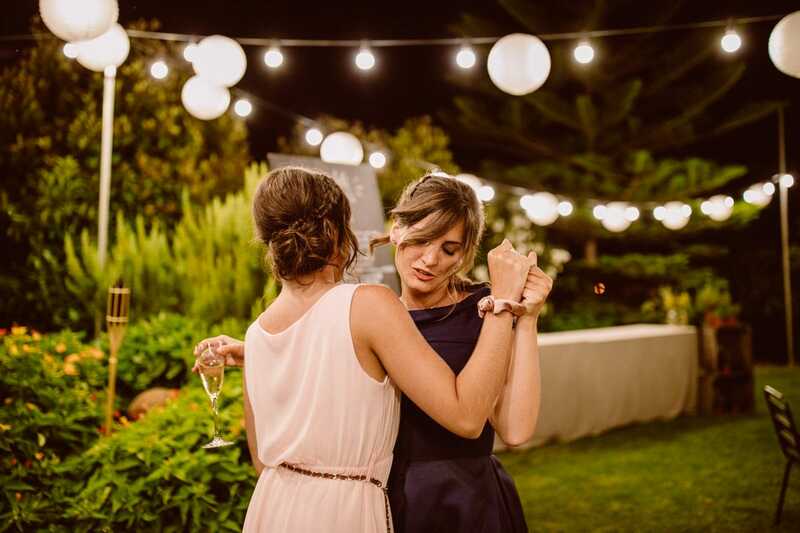 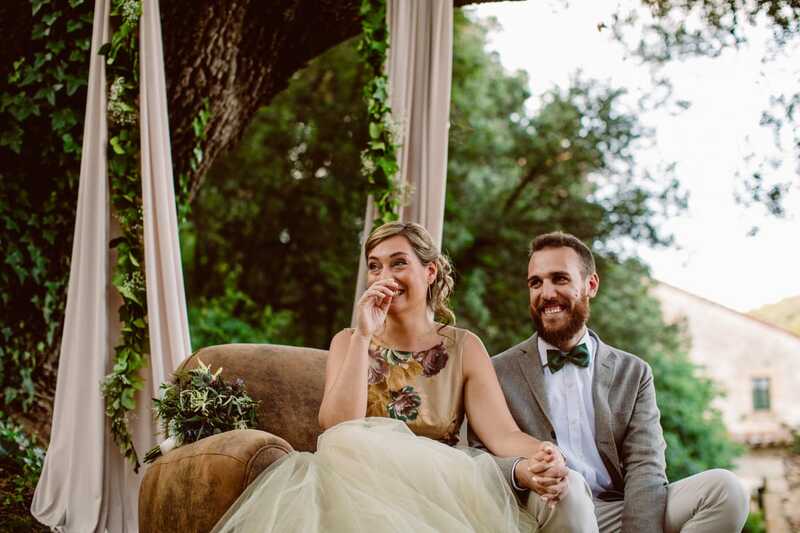 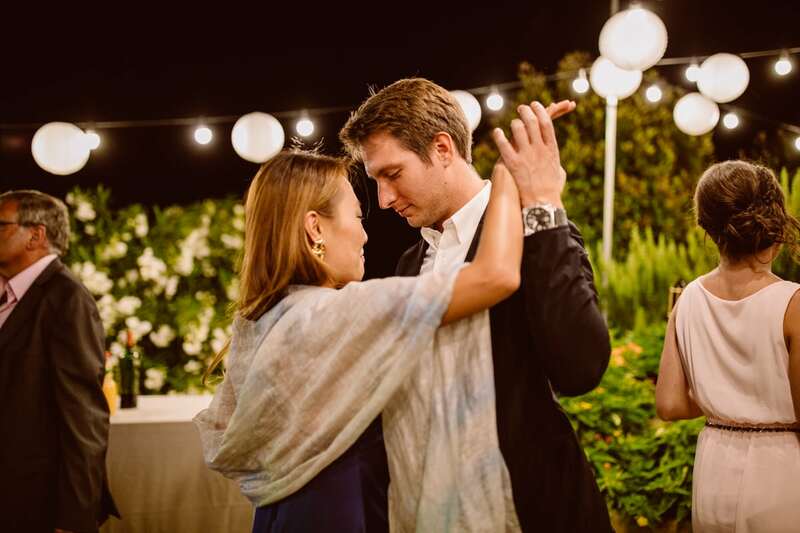 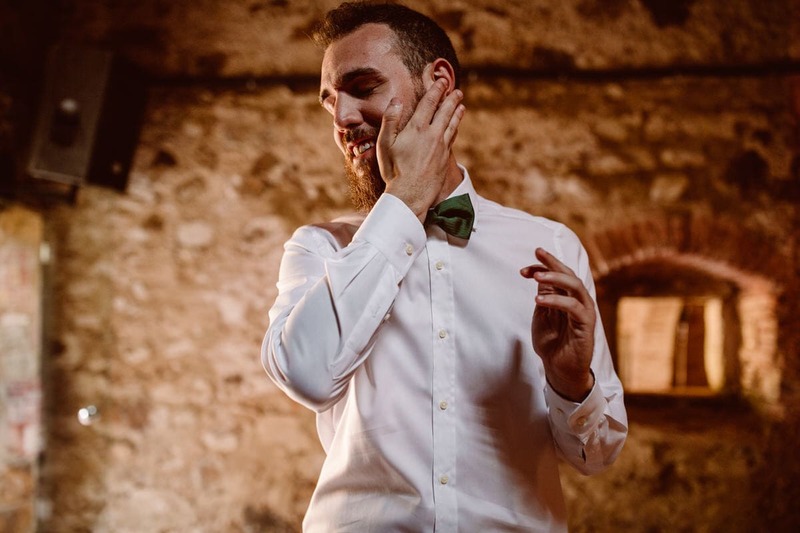 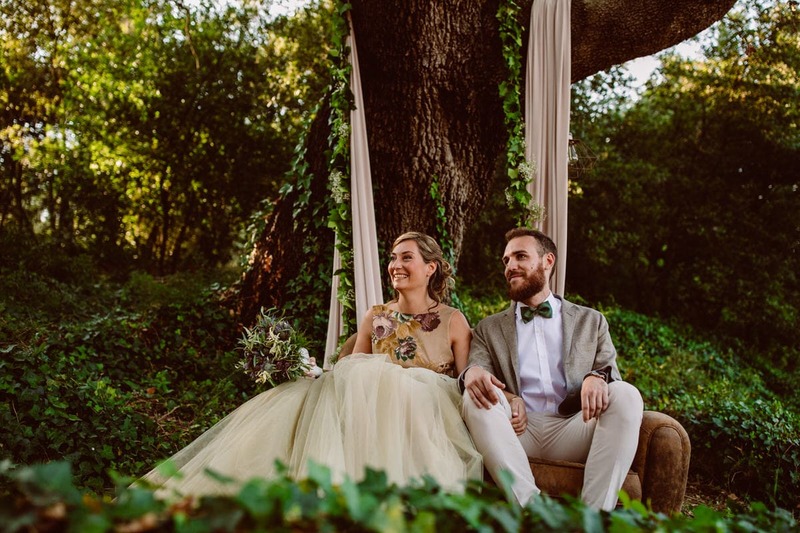 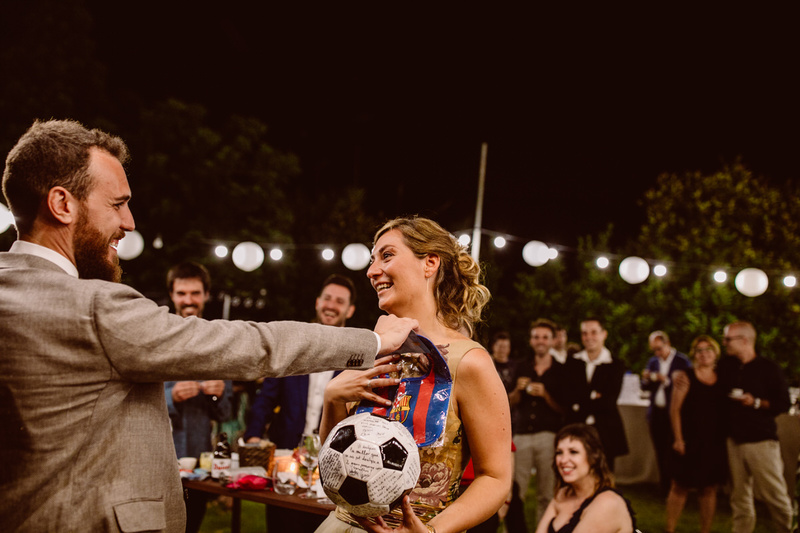 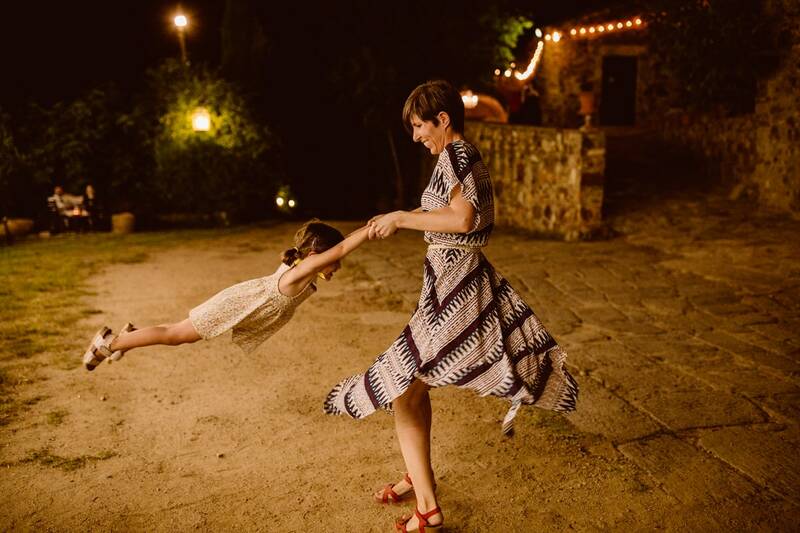 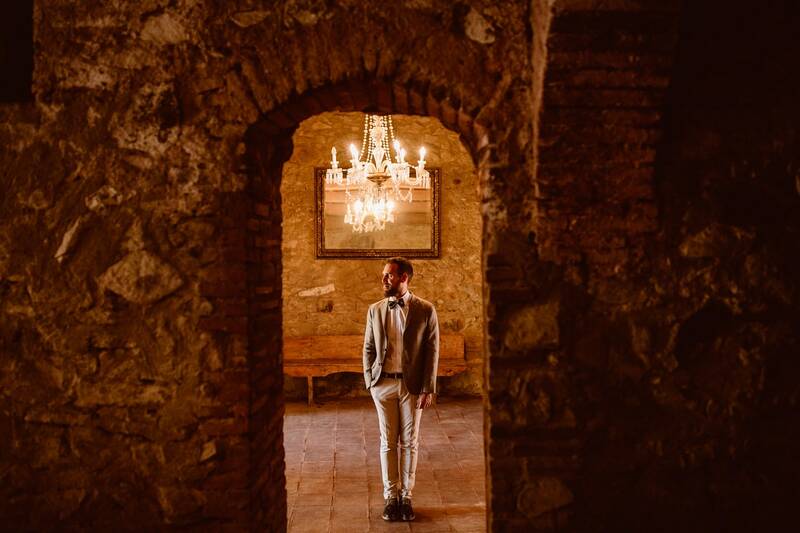 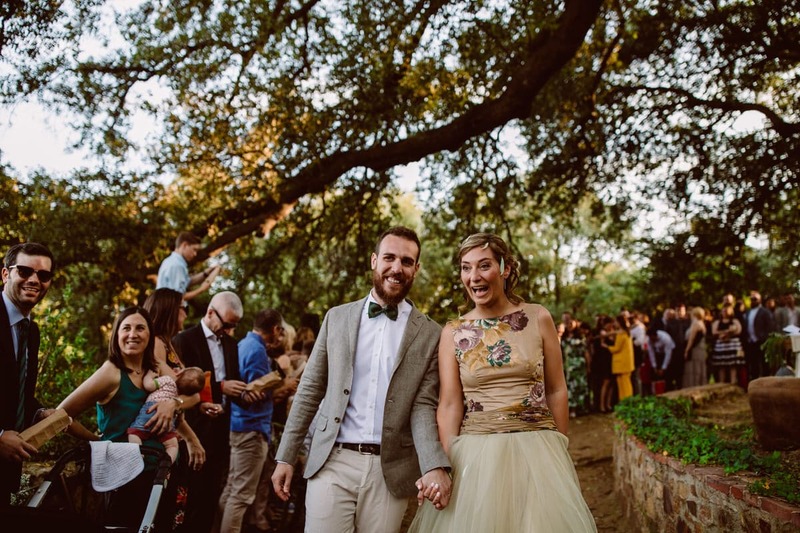 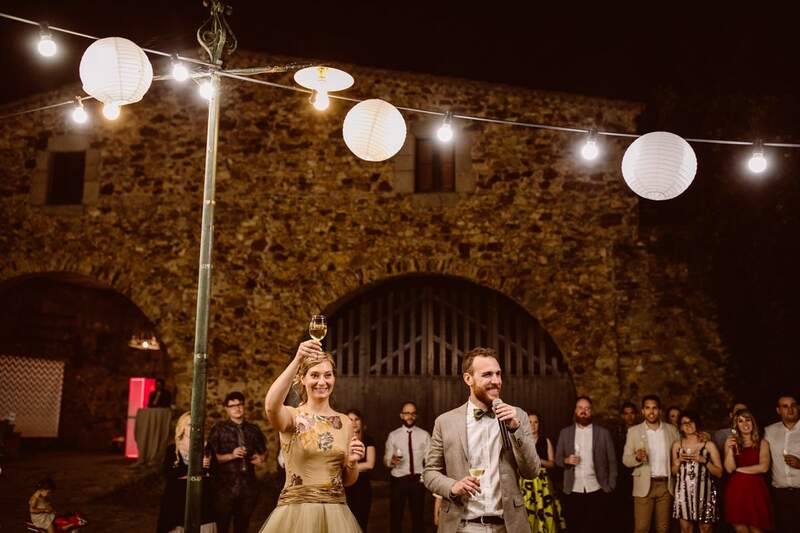 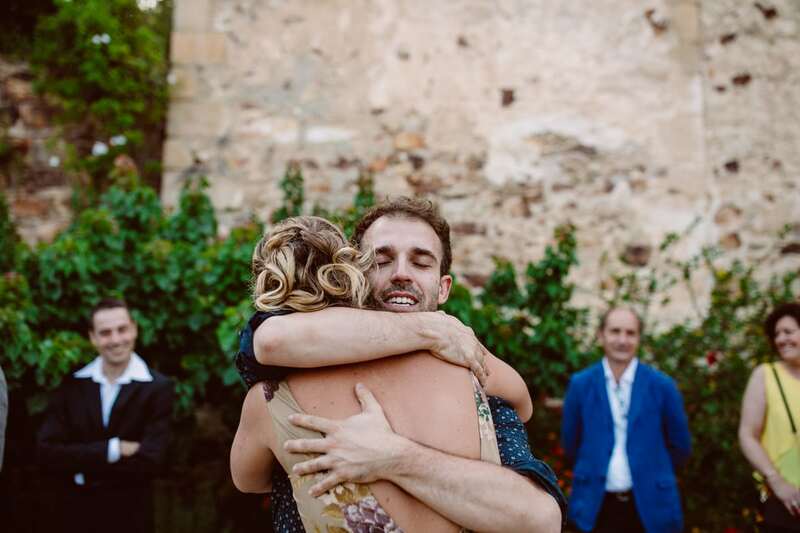 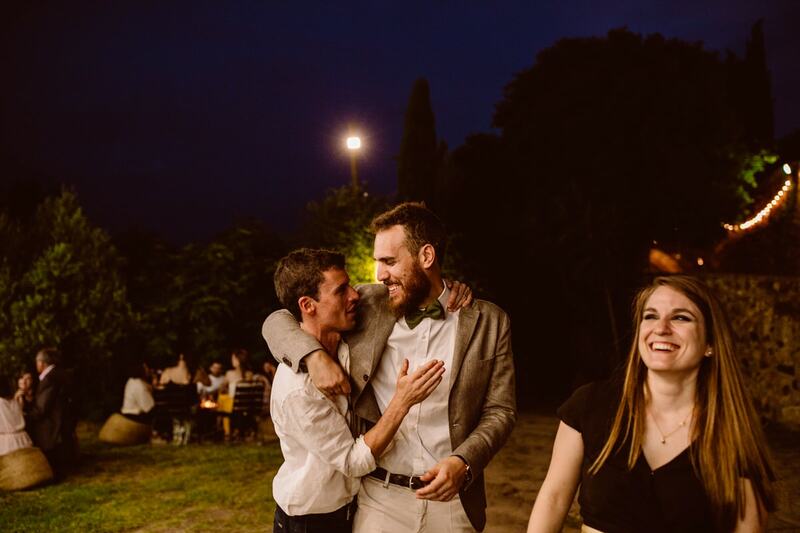 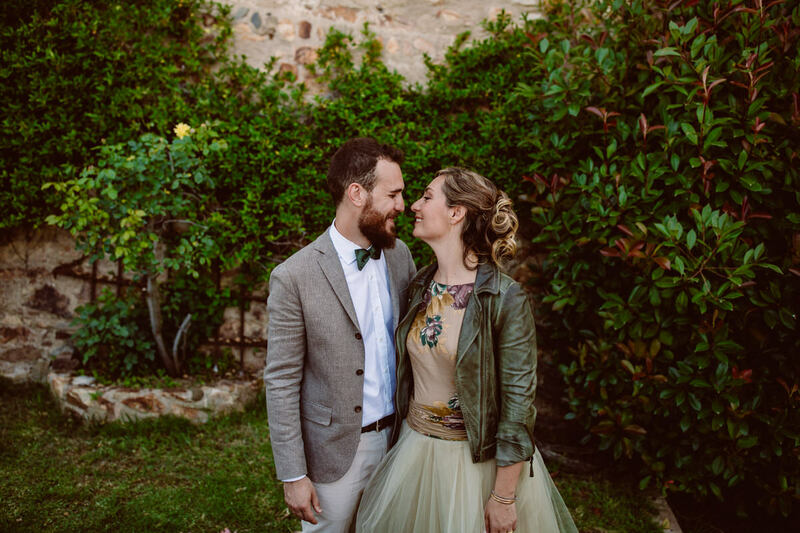 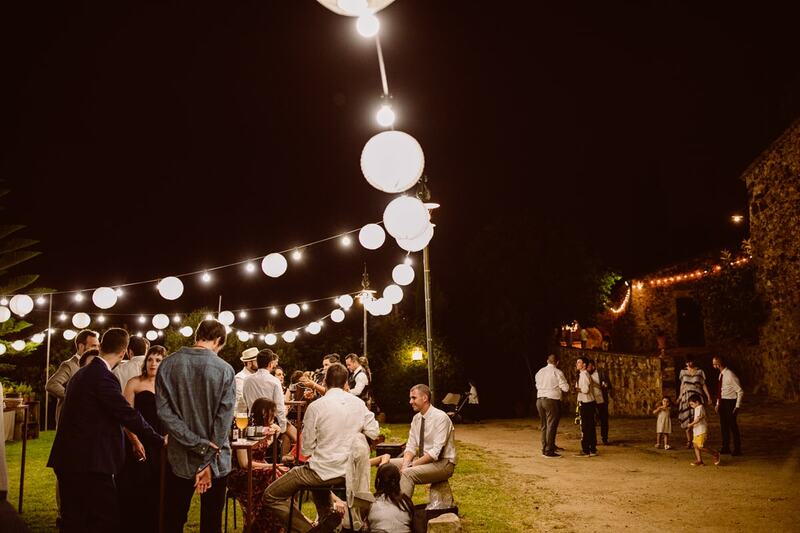 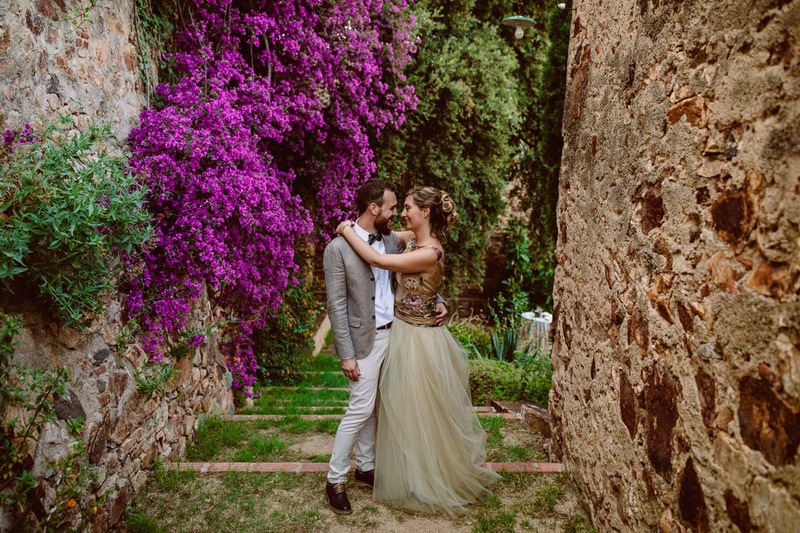 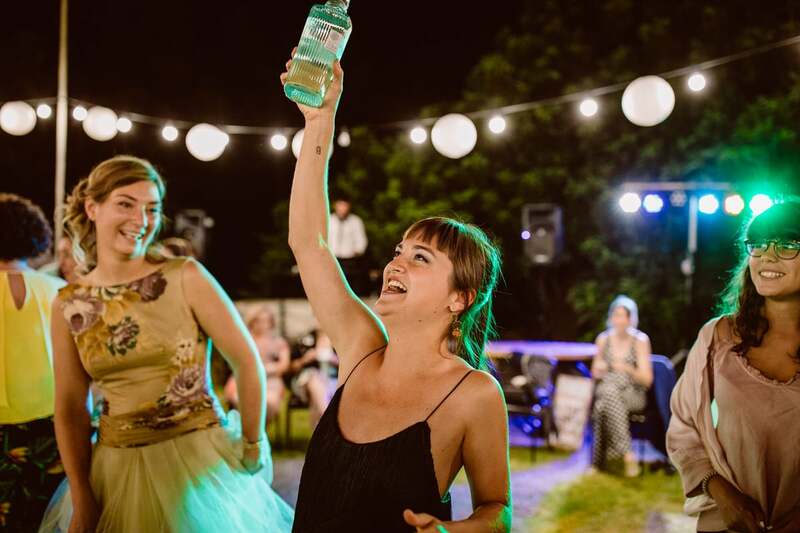 This wedding in Mas Cánovas (Barcelona, Spain) was in the most magical night of the year: 23th June. 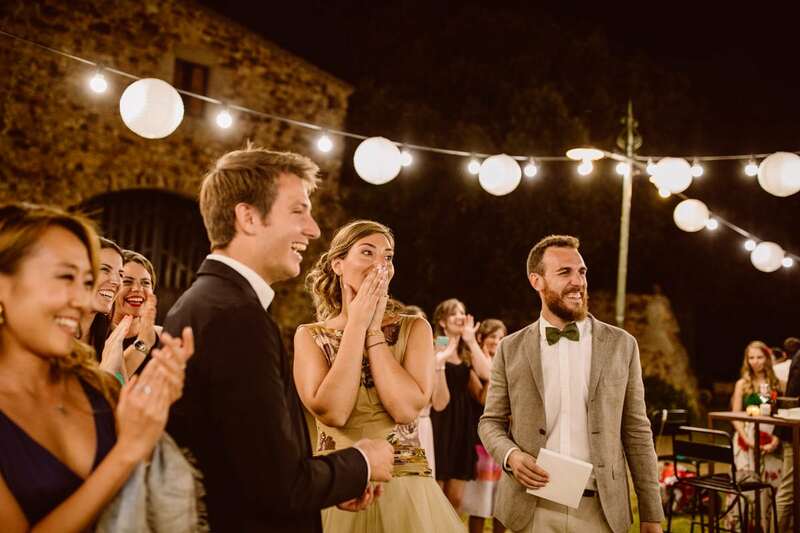 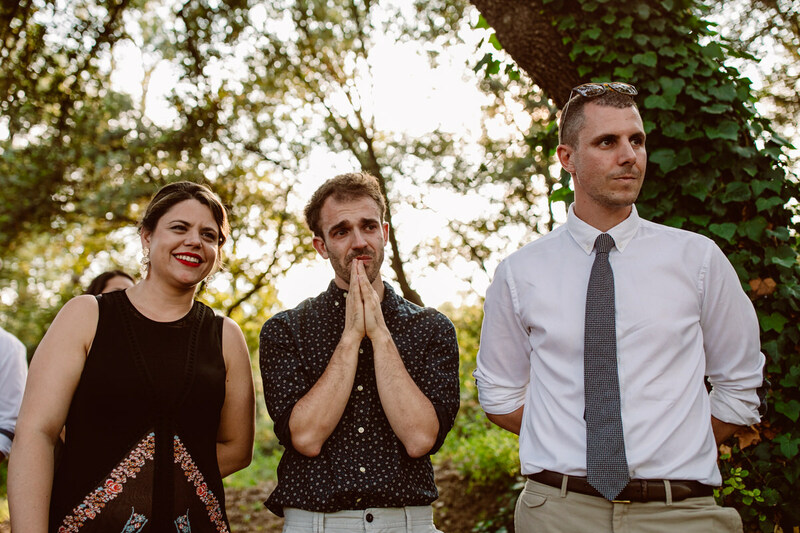 This night is very special for us and Anna and Oriol thought it would be a great idea to get married in that night. 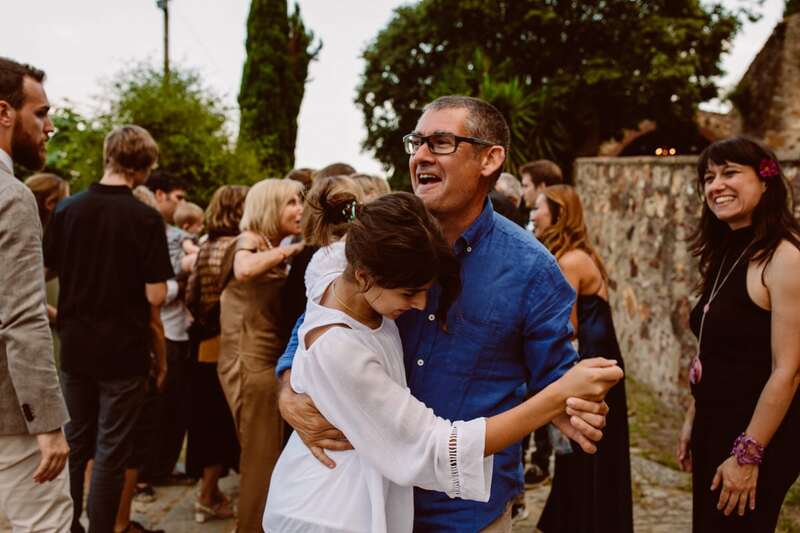 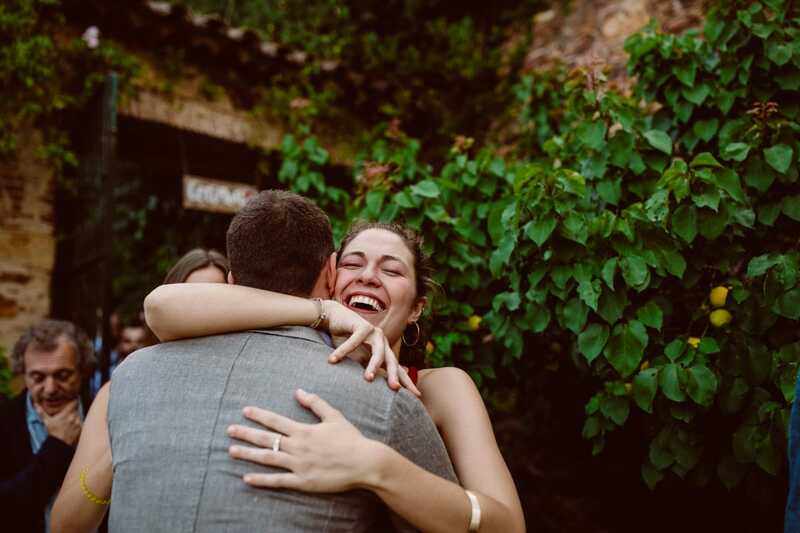 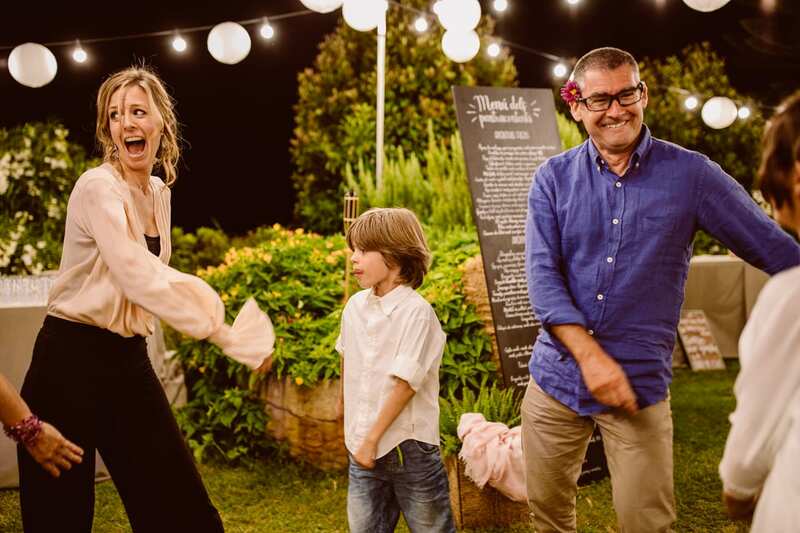 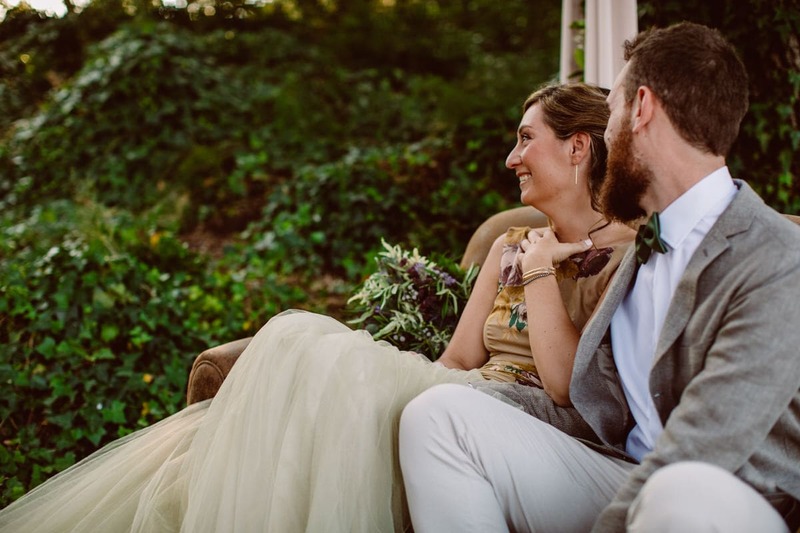 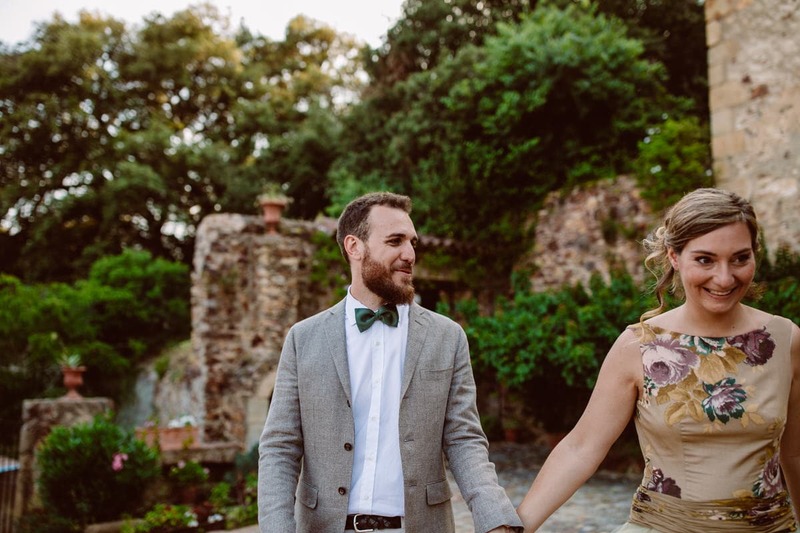 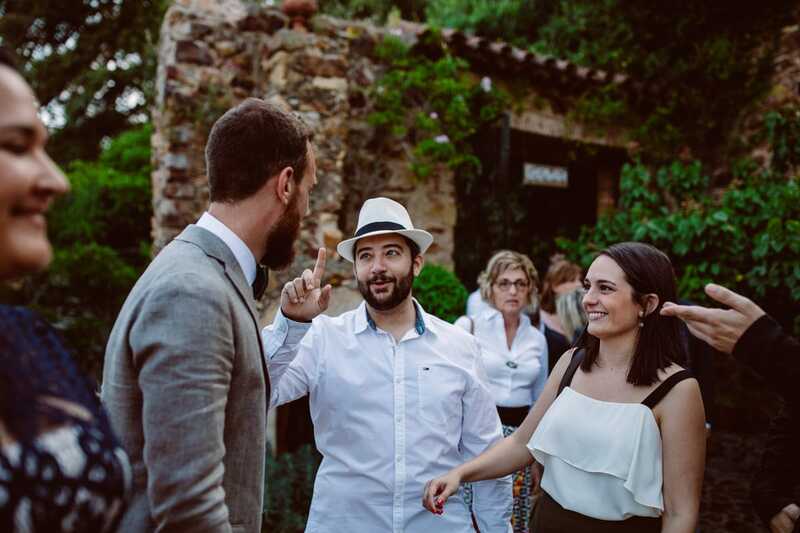 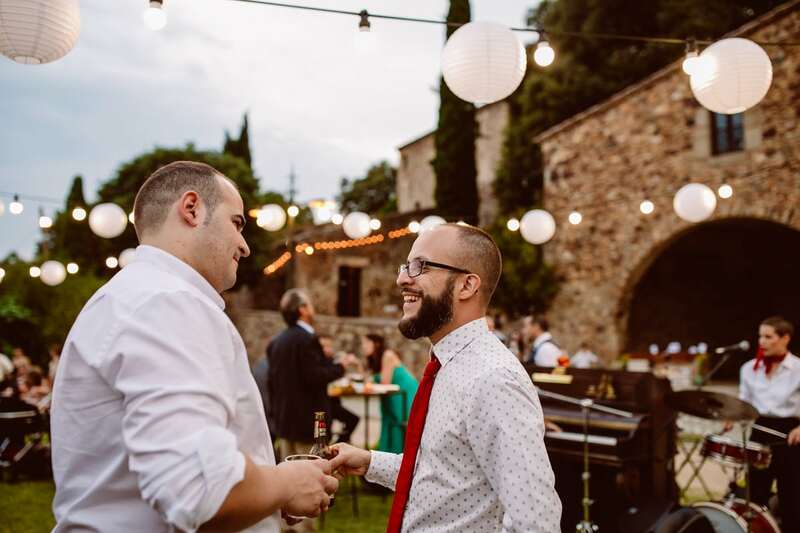 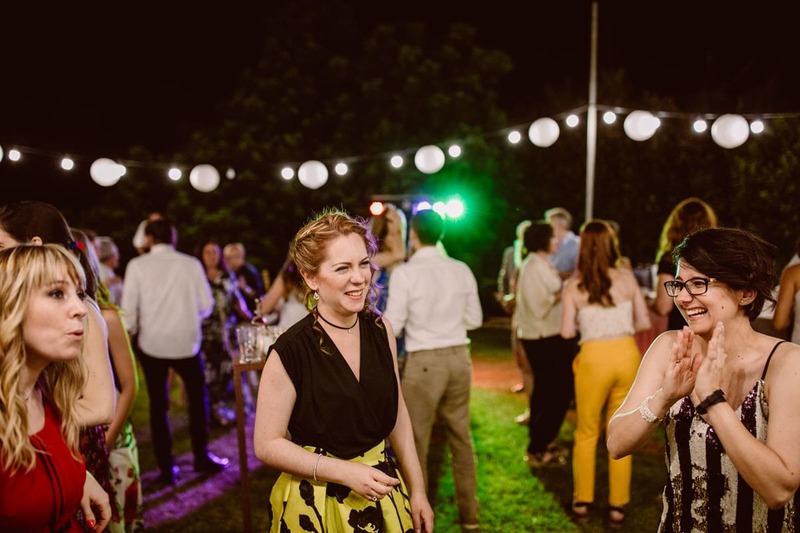 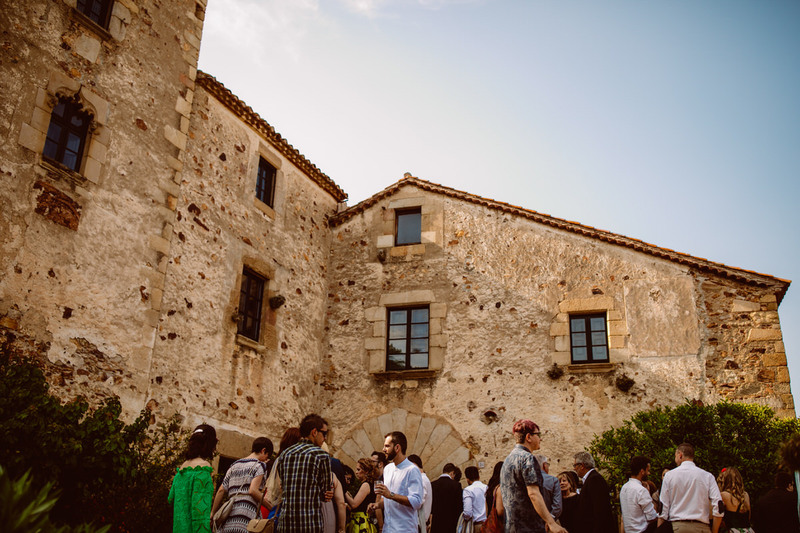 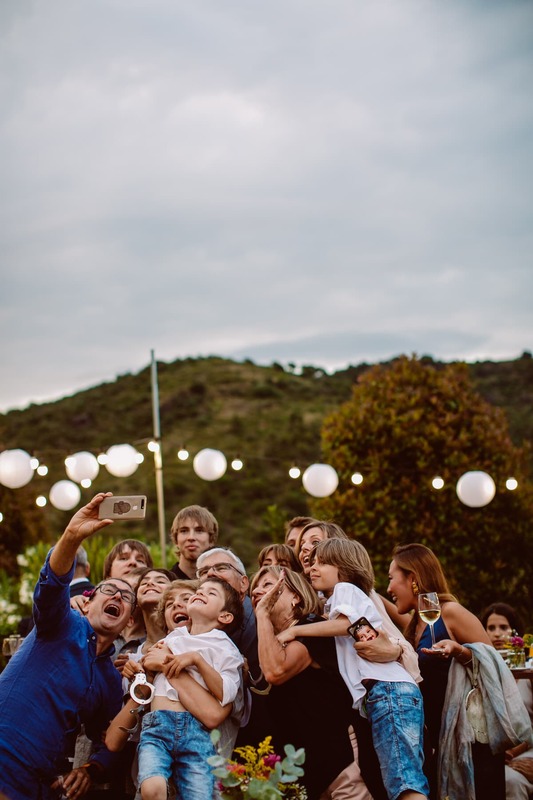 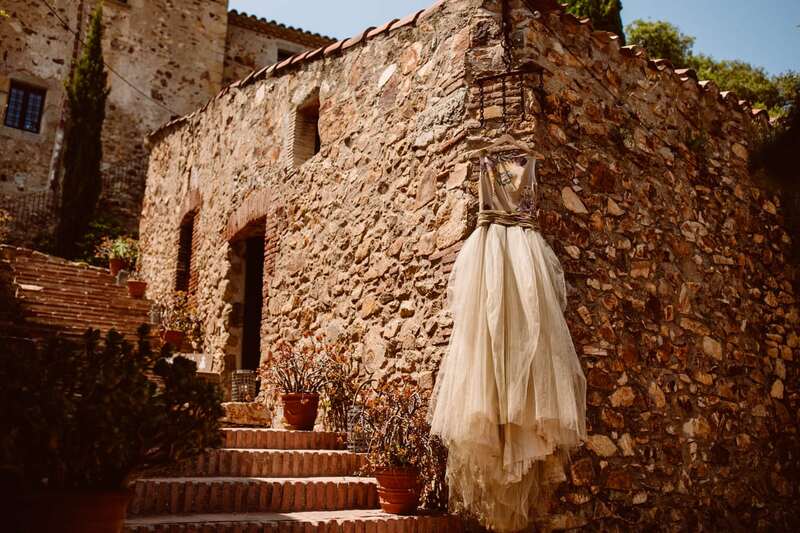 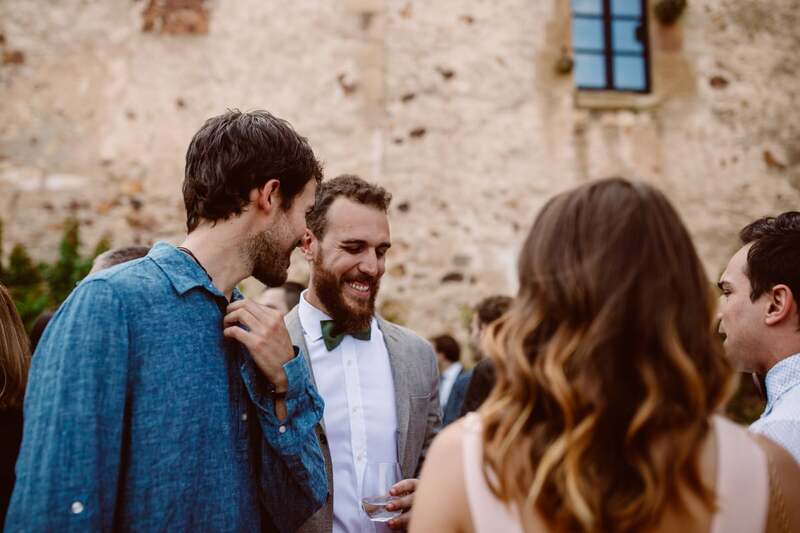 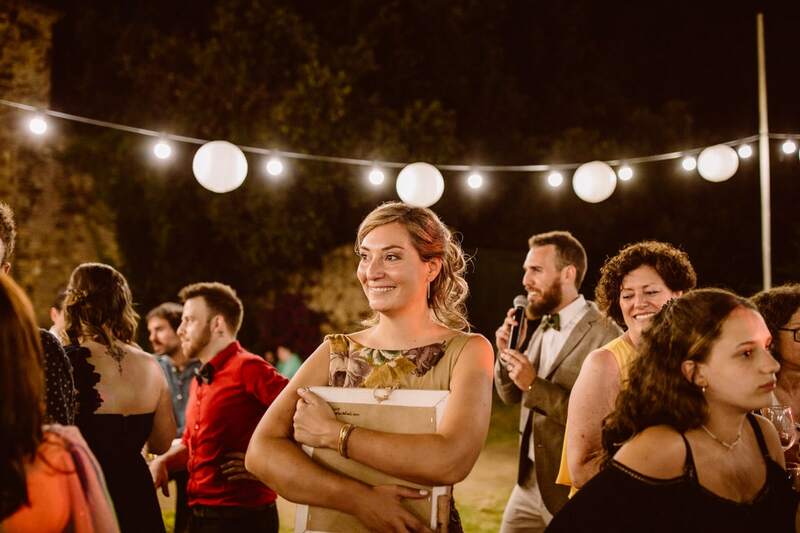 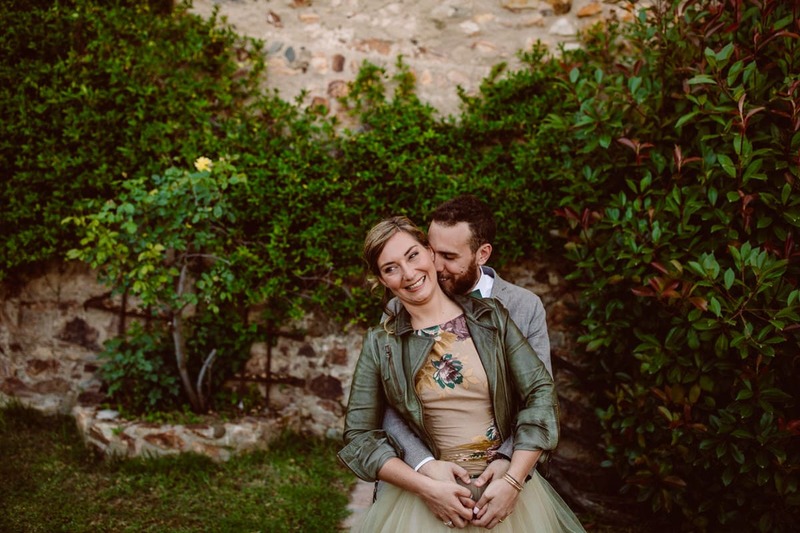 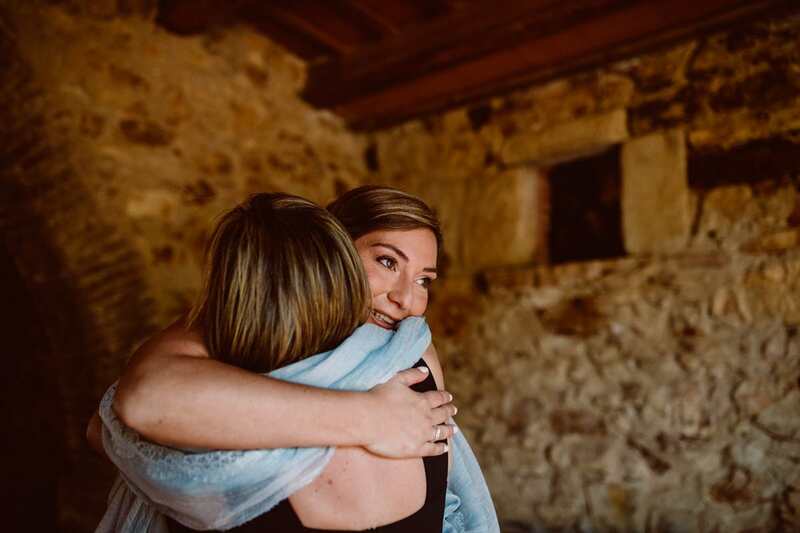 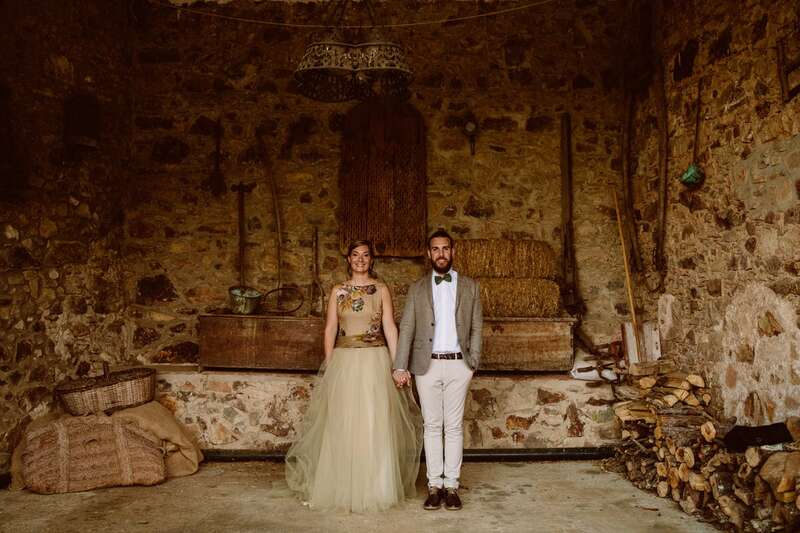 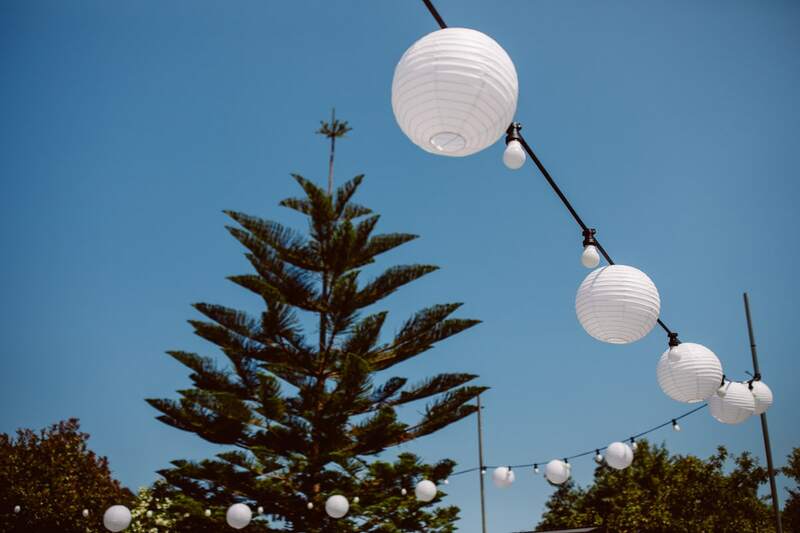 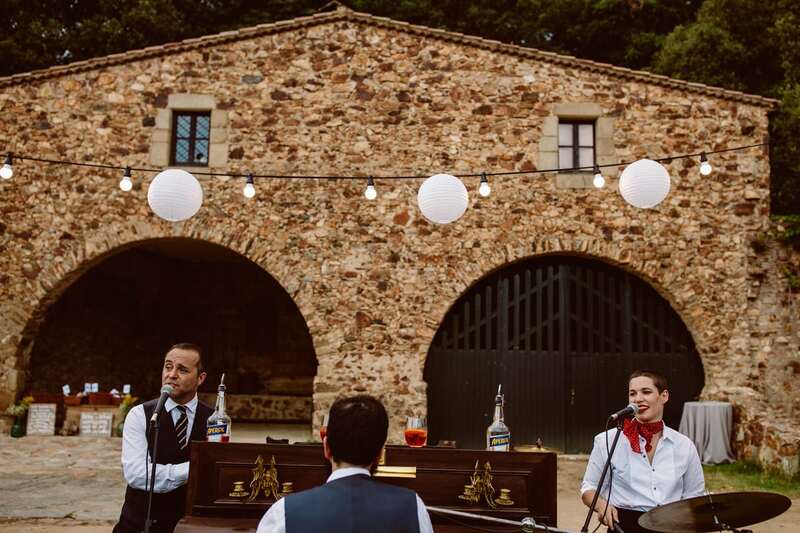 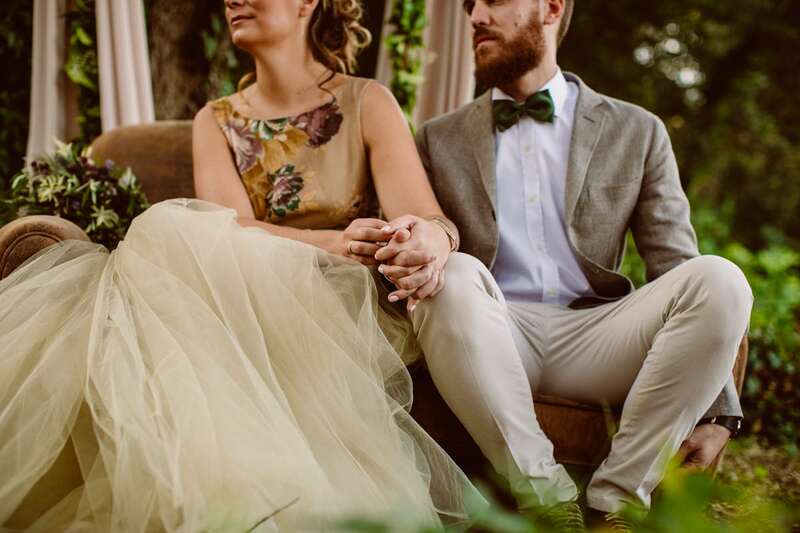 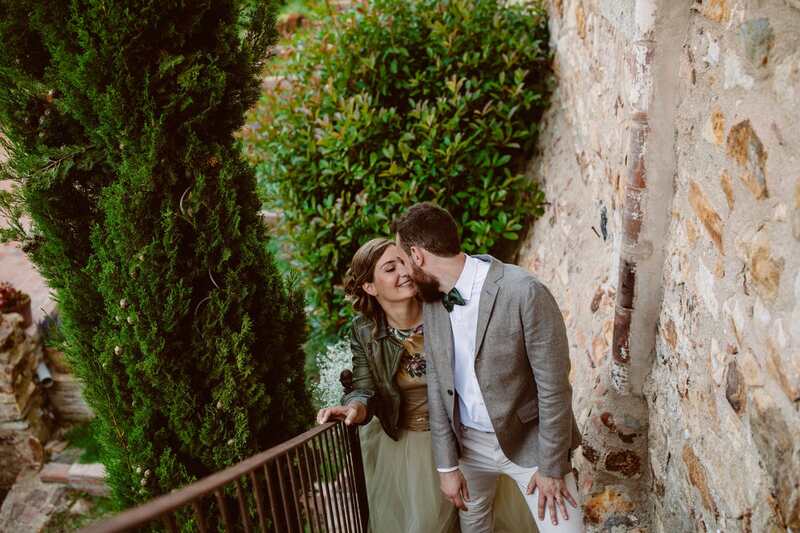 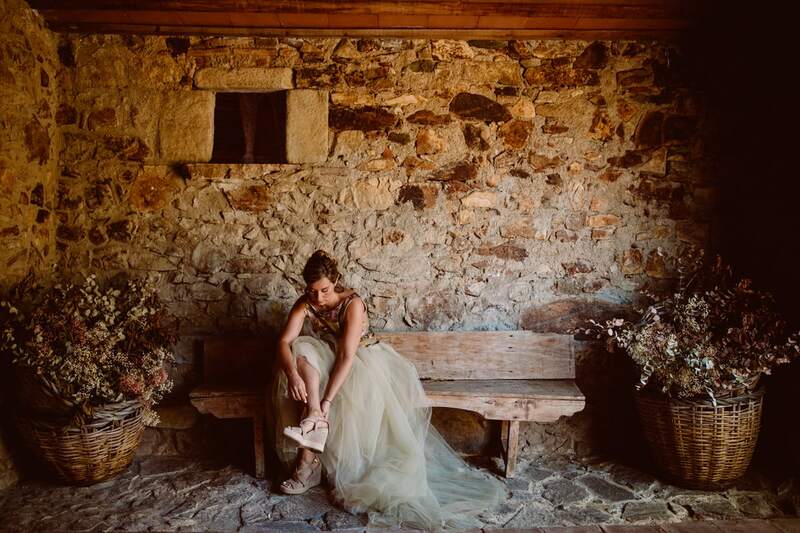 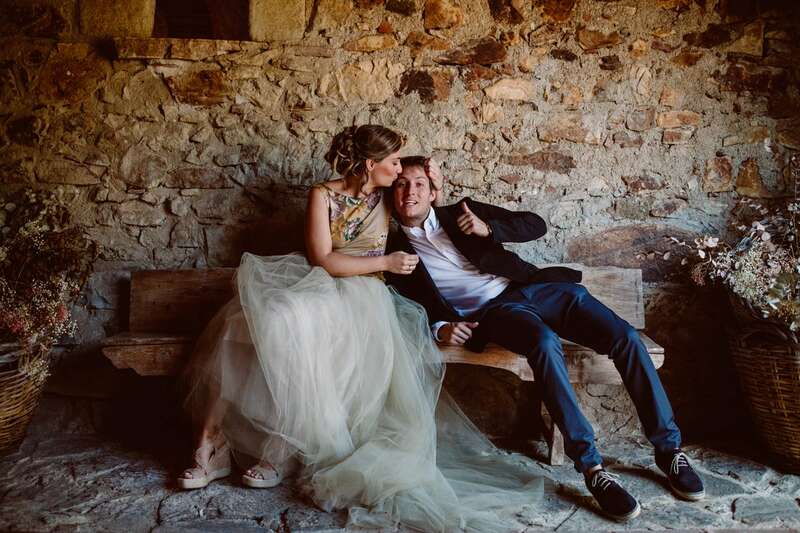 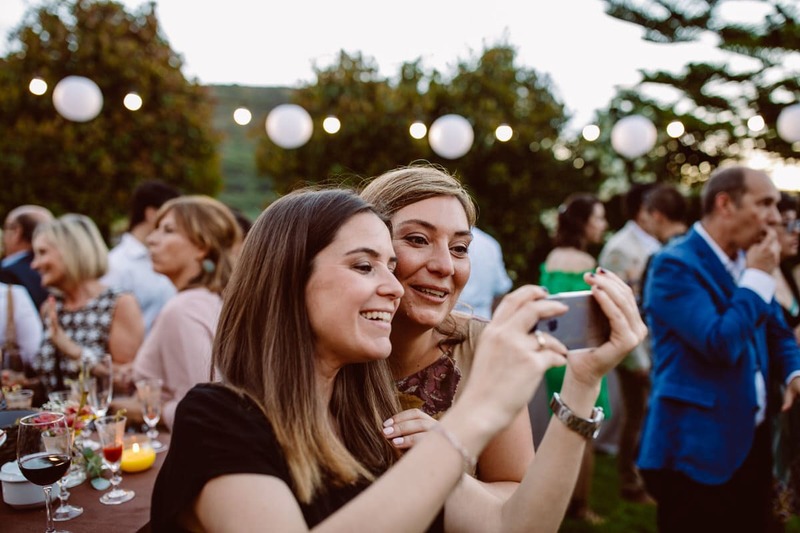 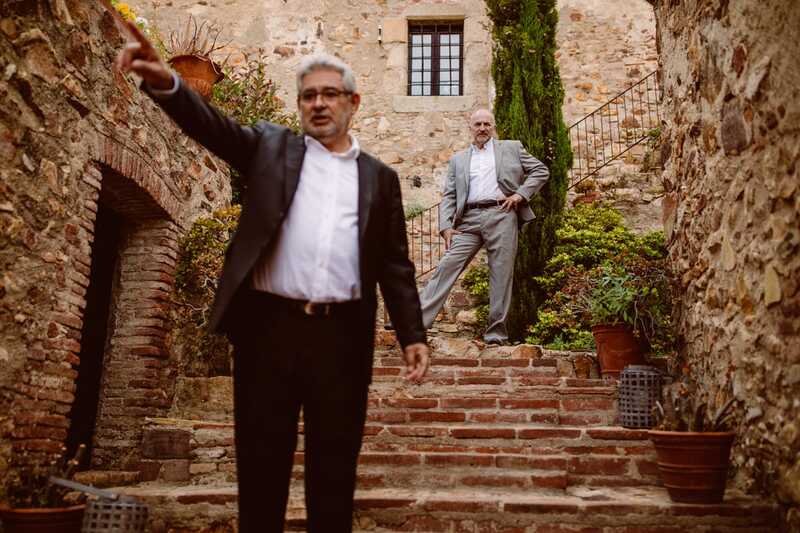 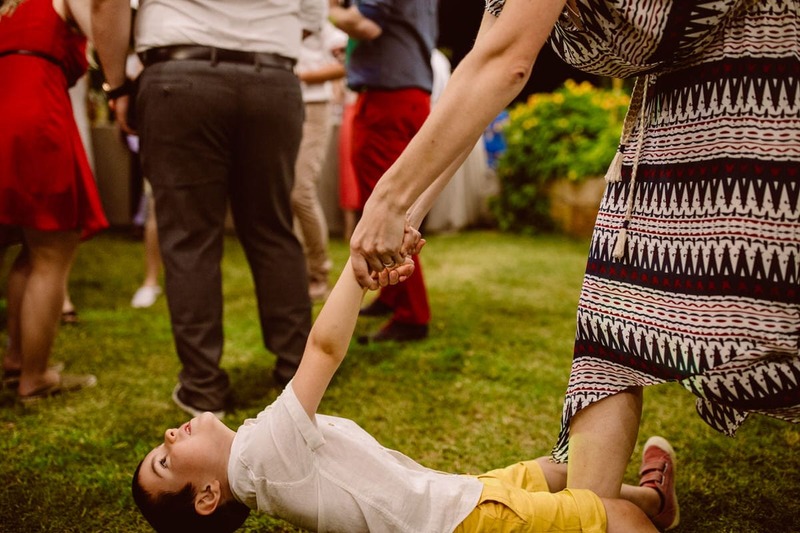 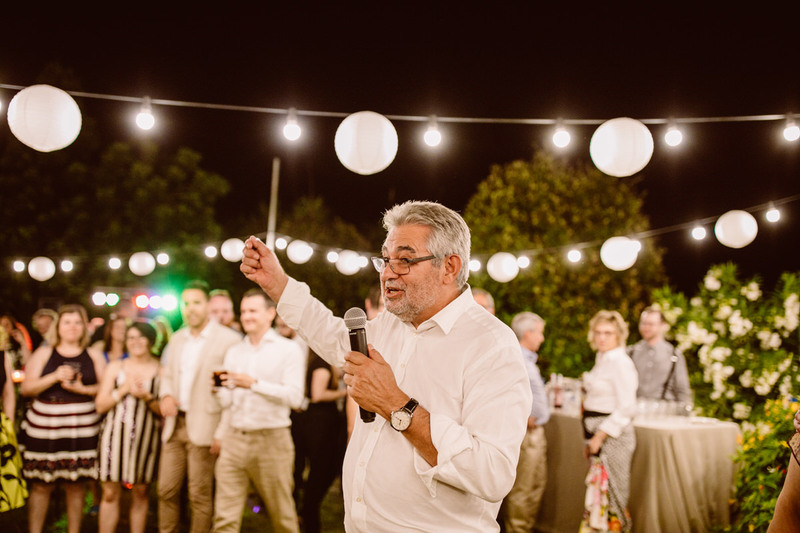 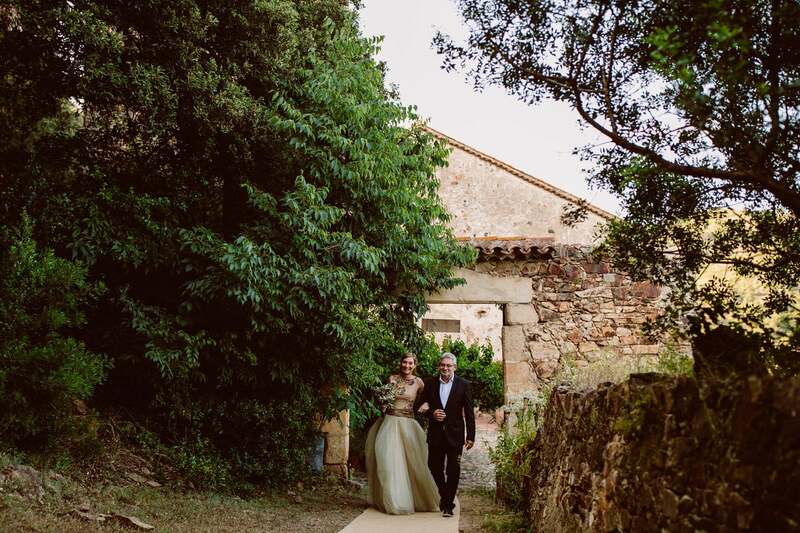 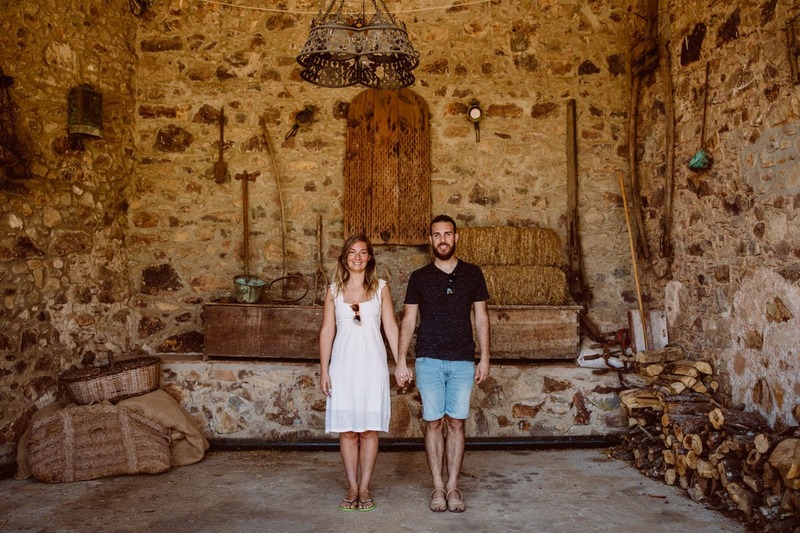 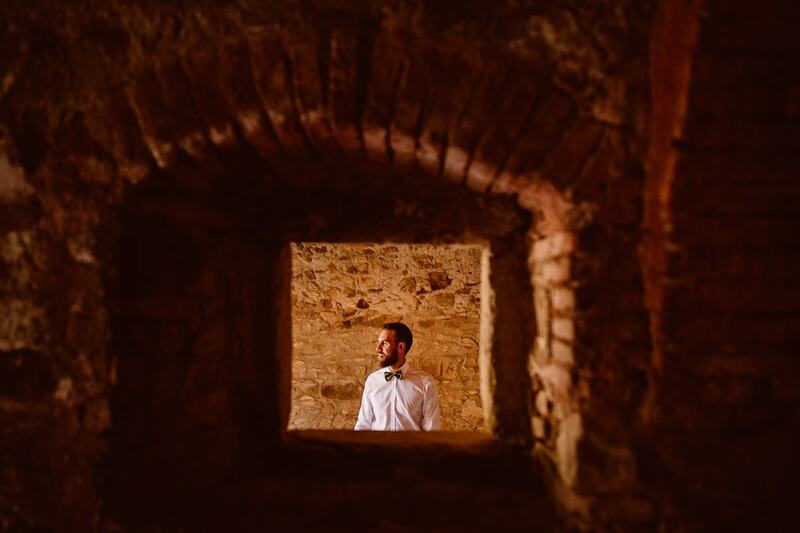 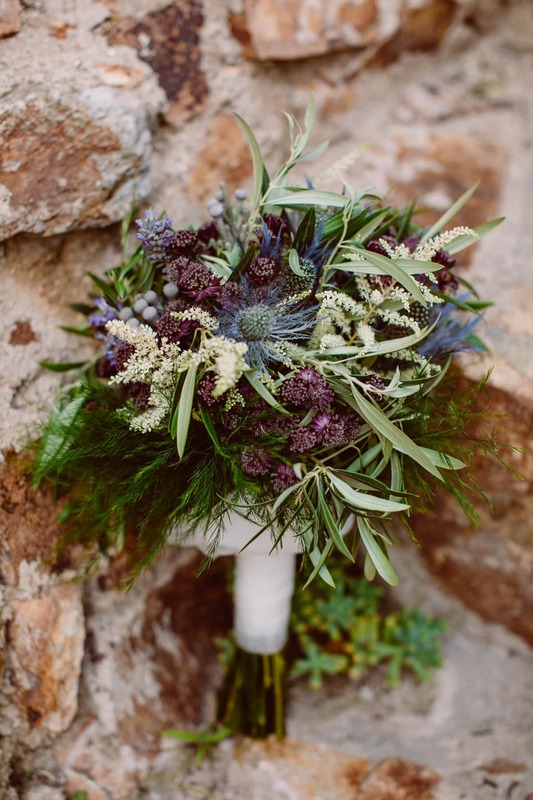 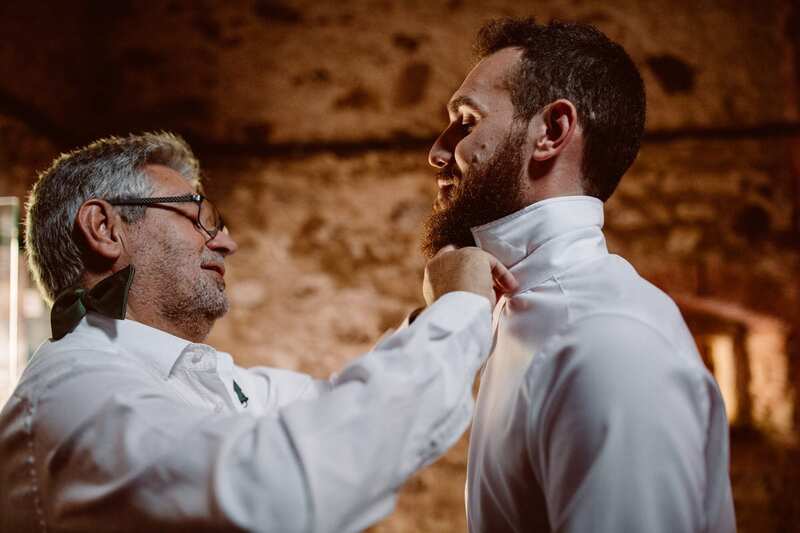 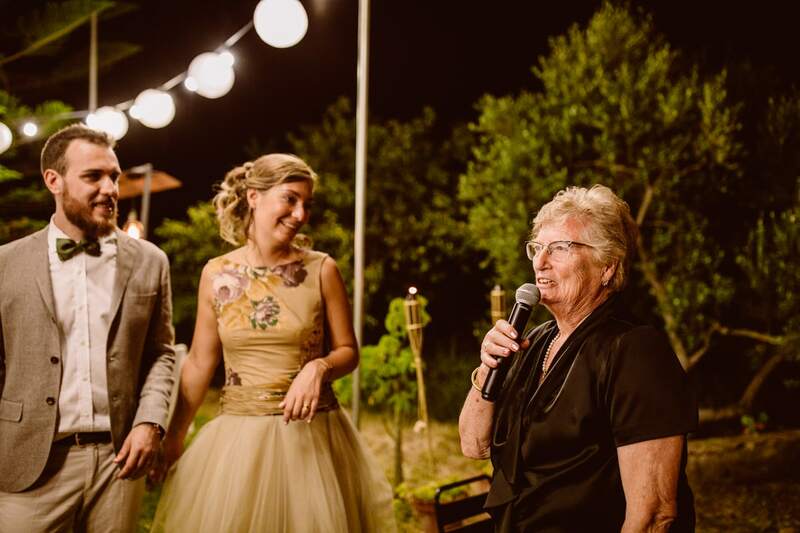 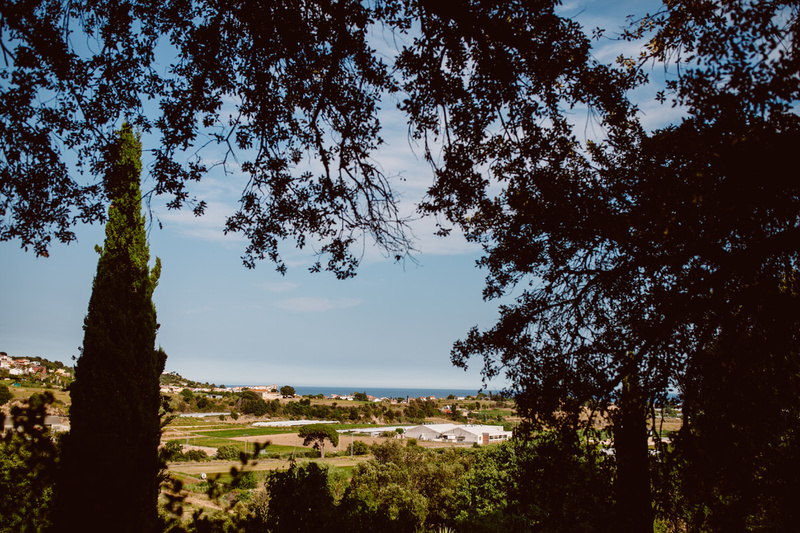 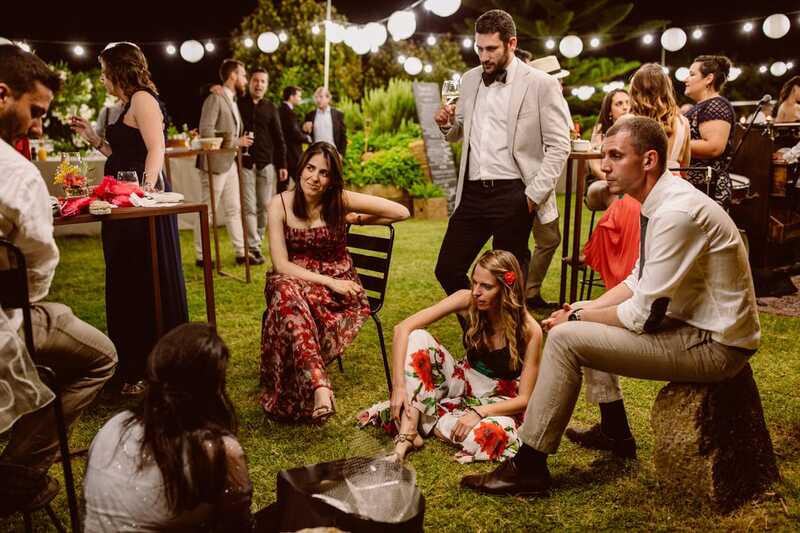 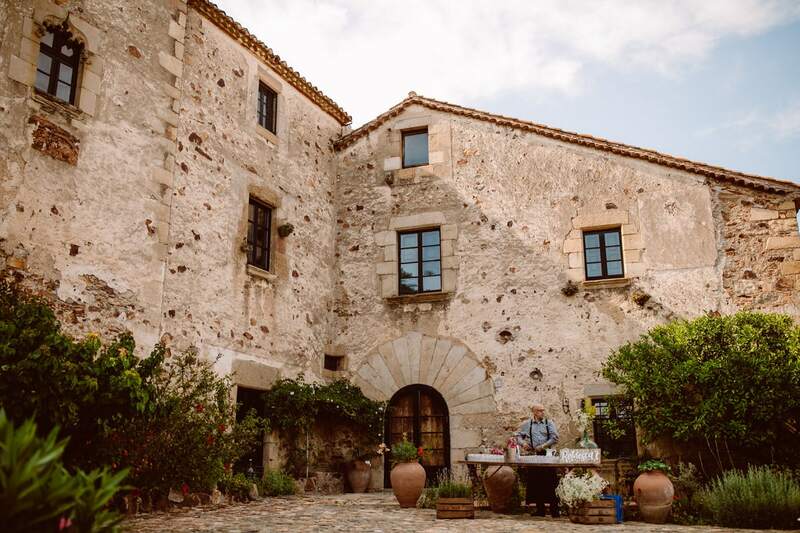 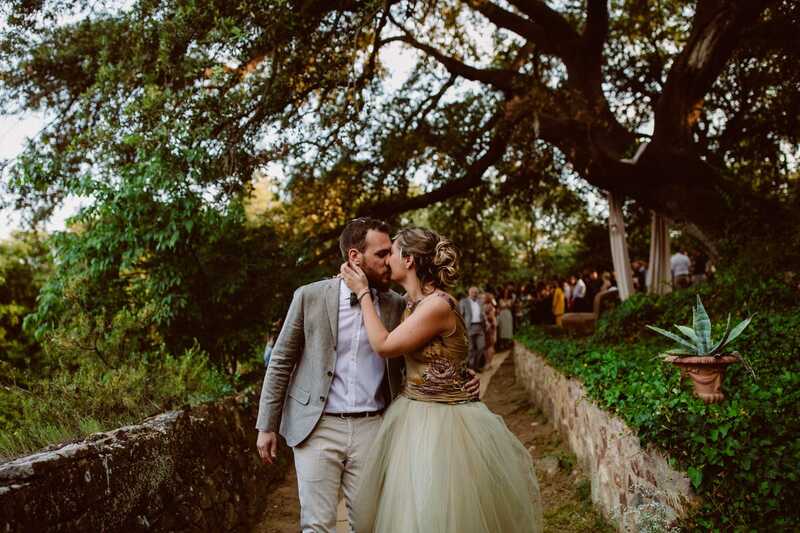 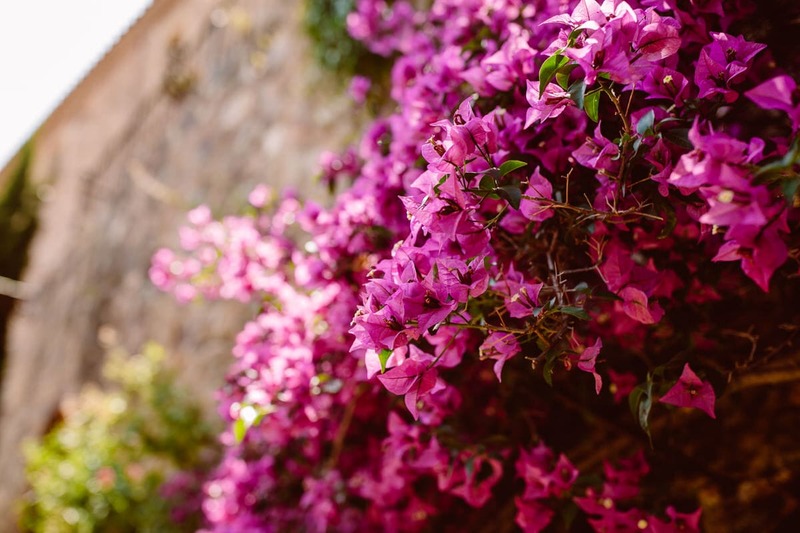 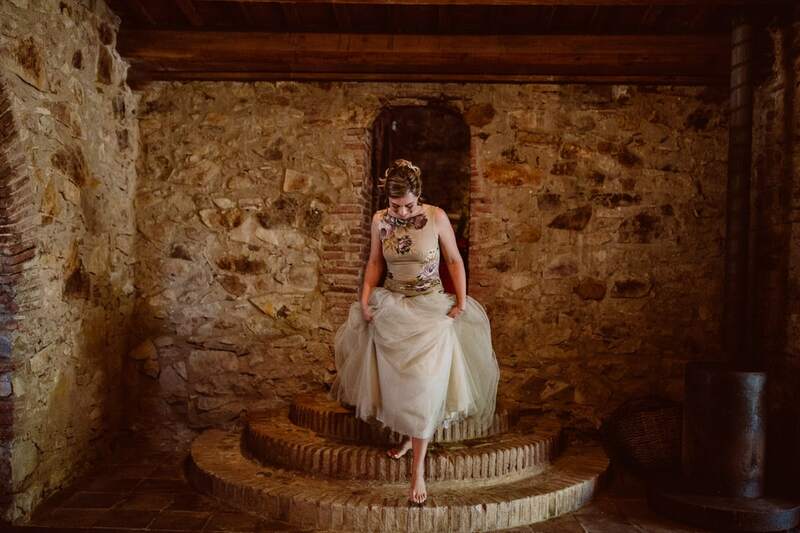 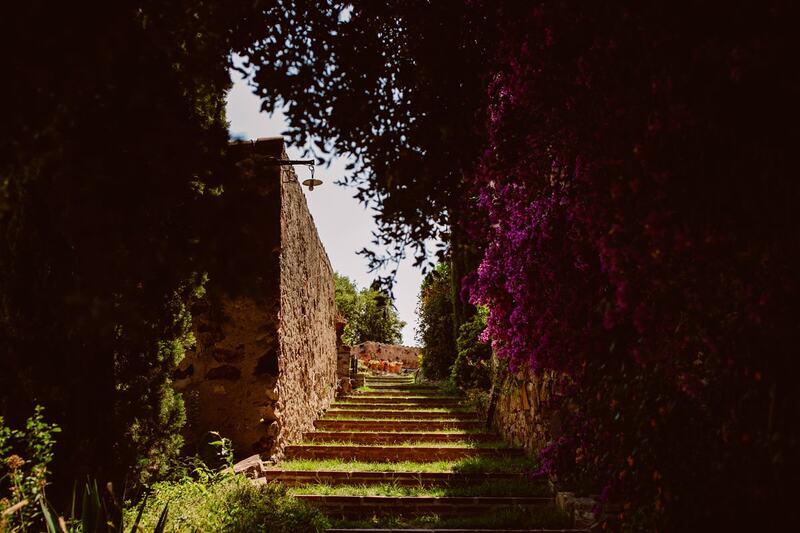 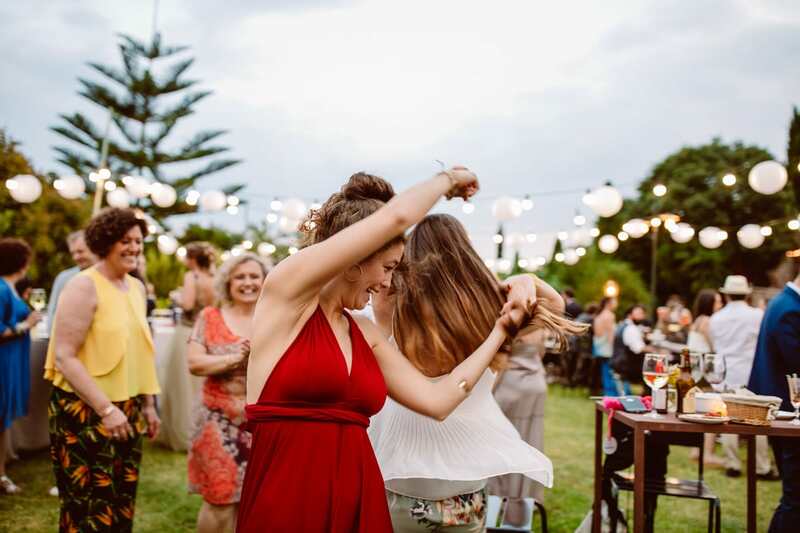 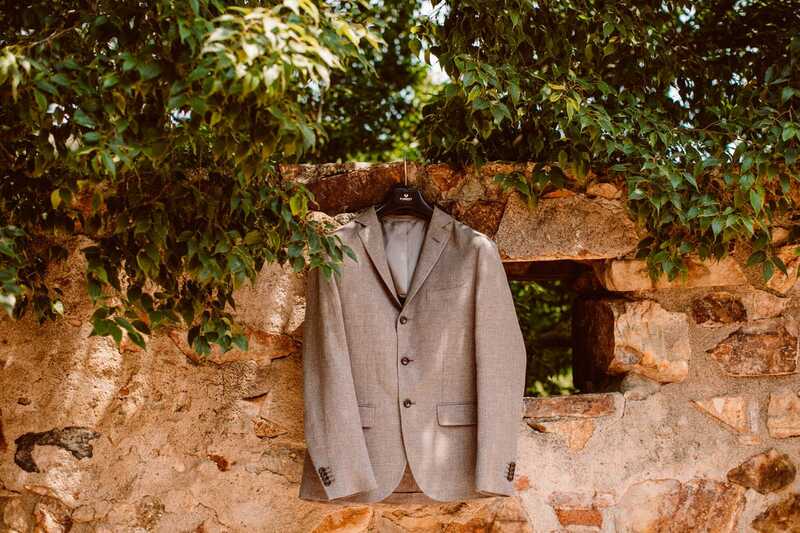 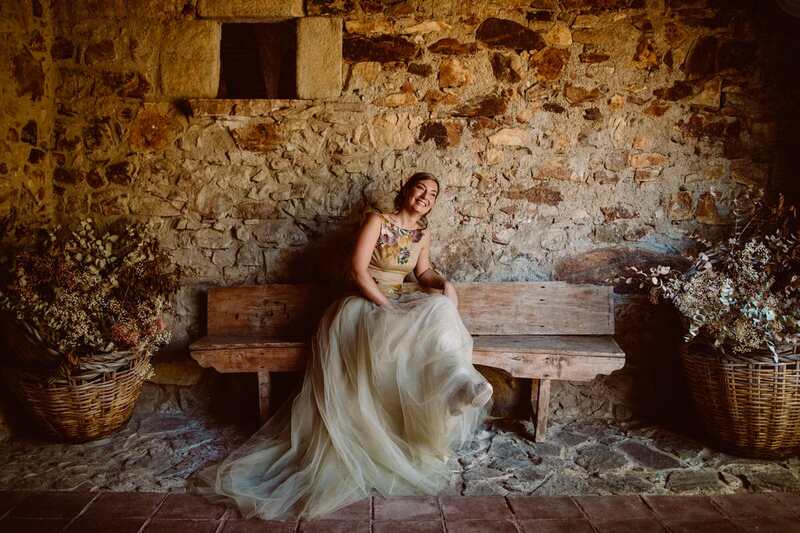 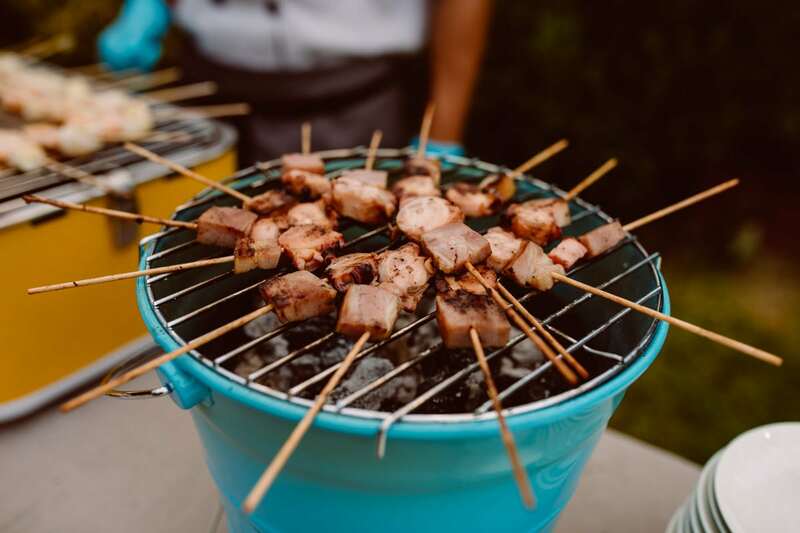 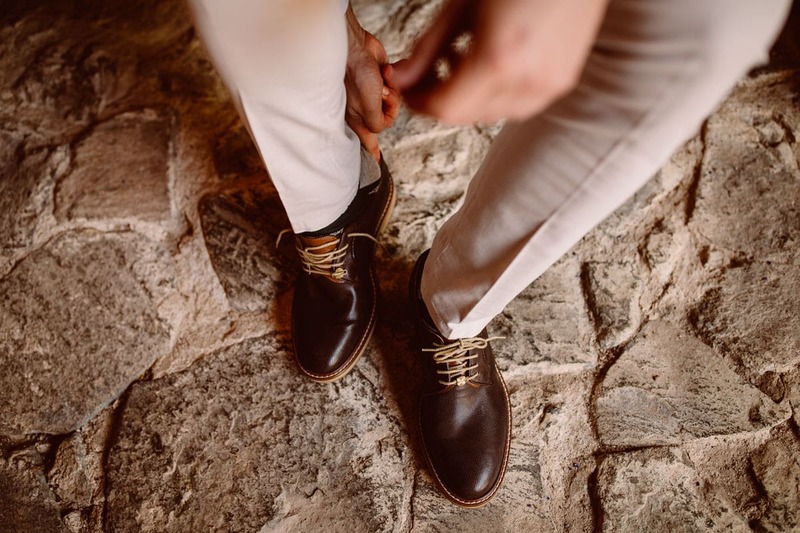 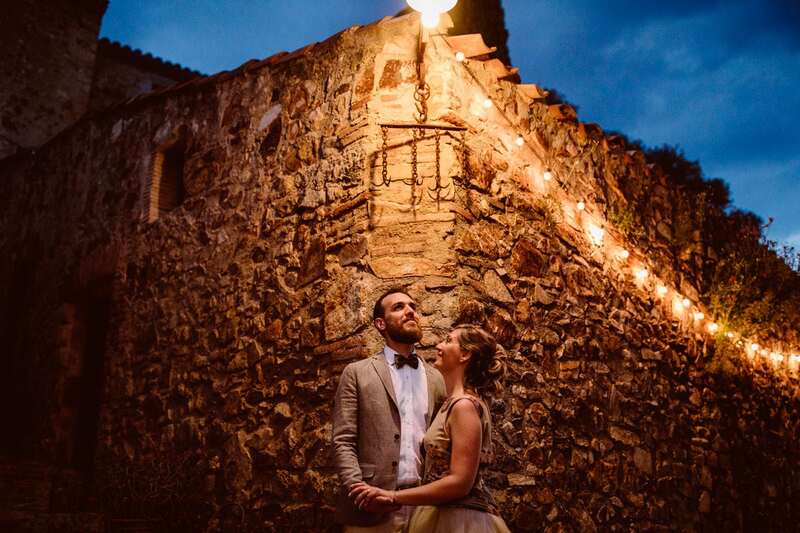 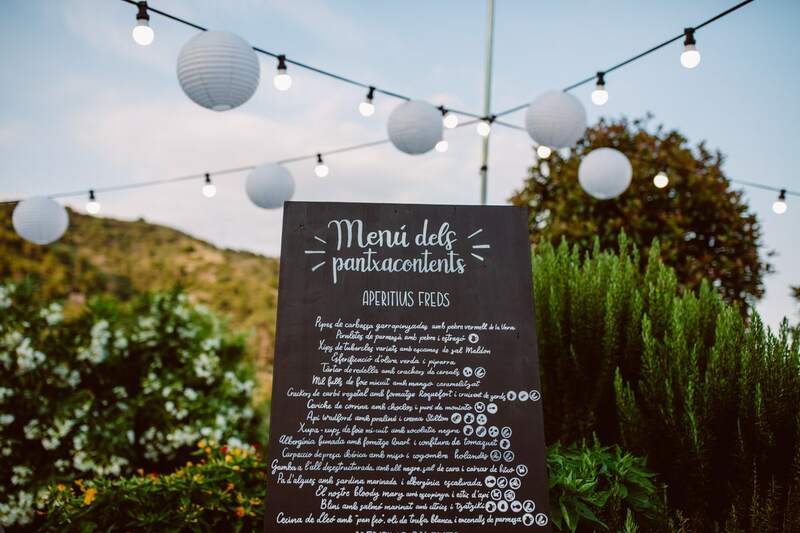 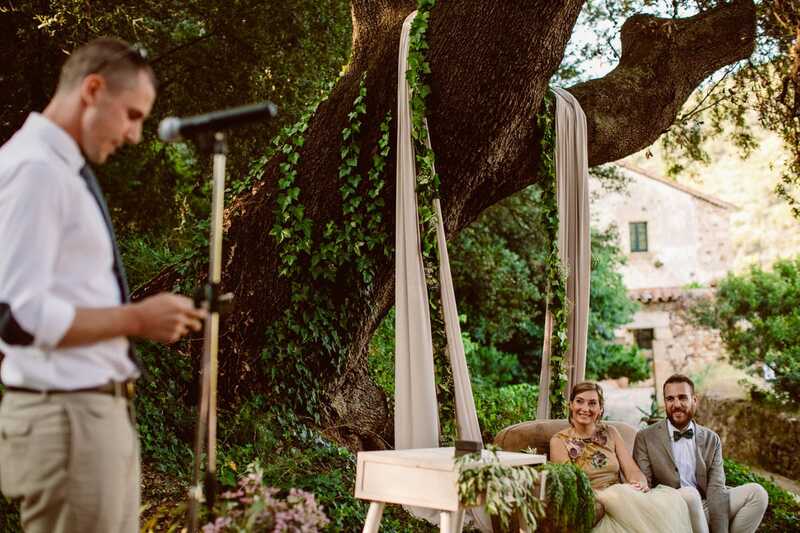 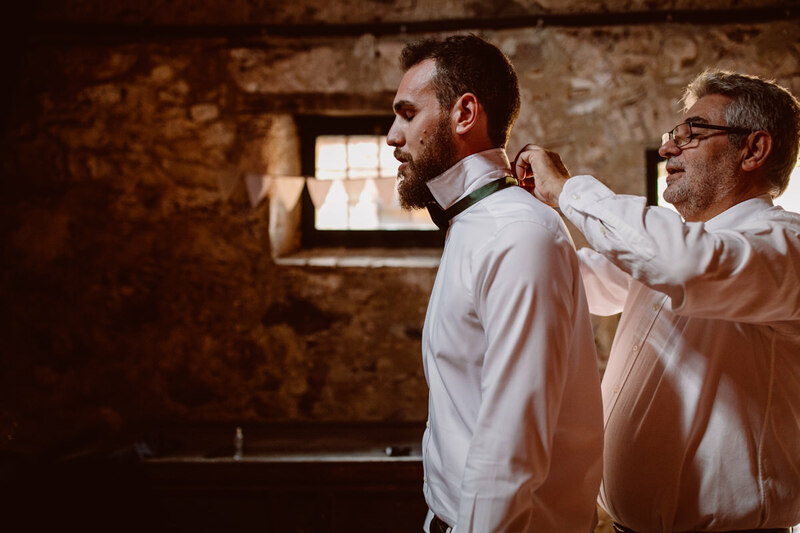 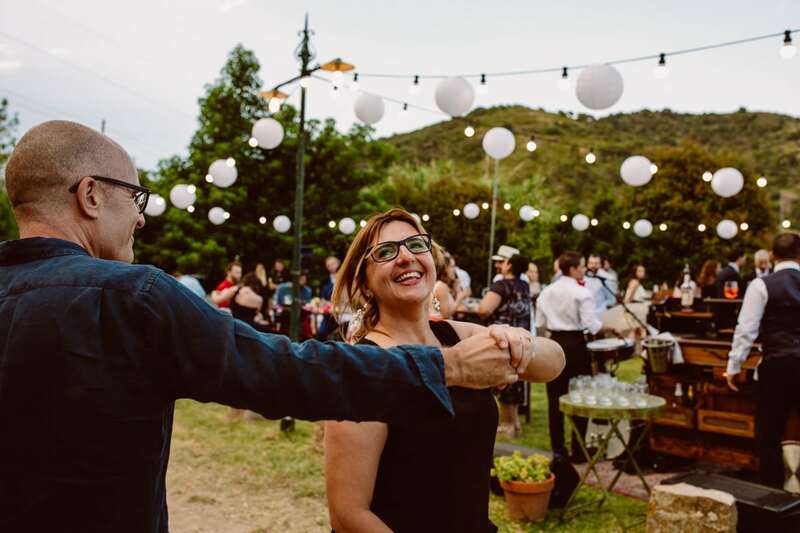 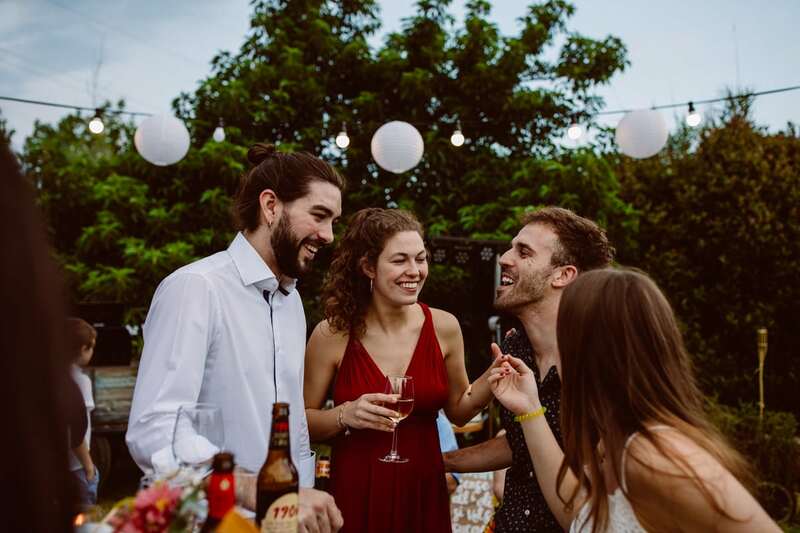 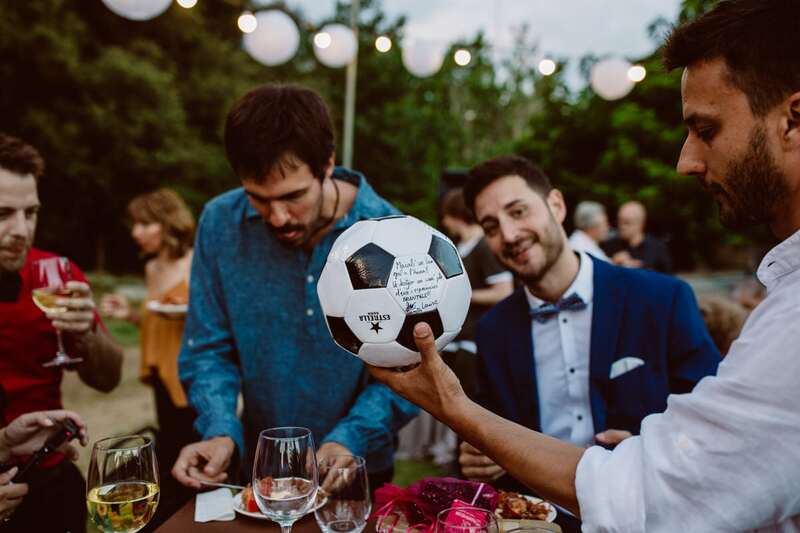 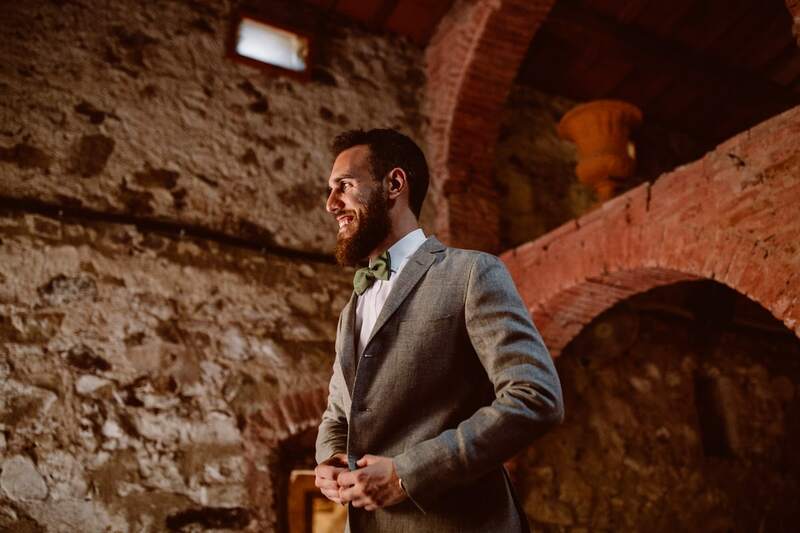 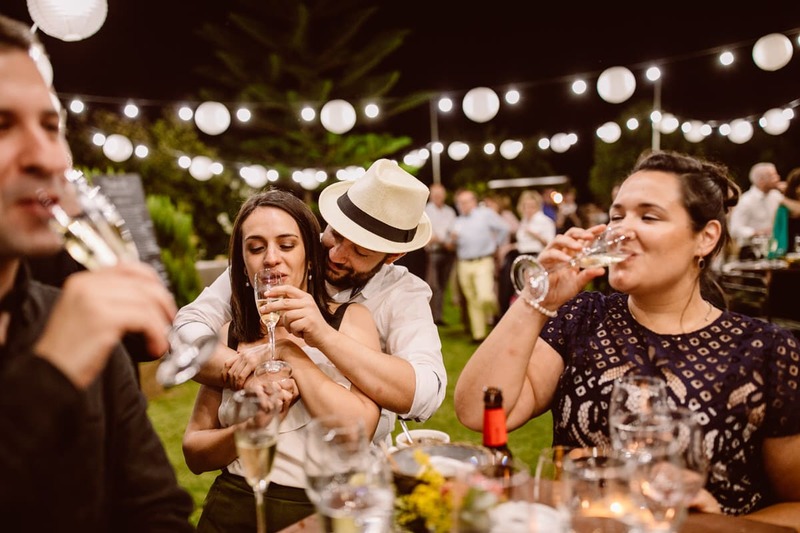 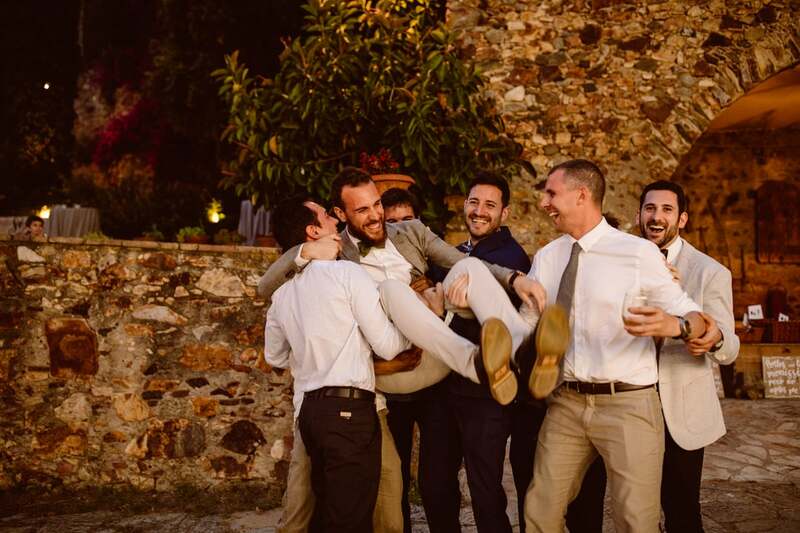 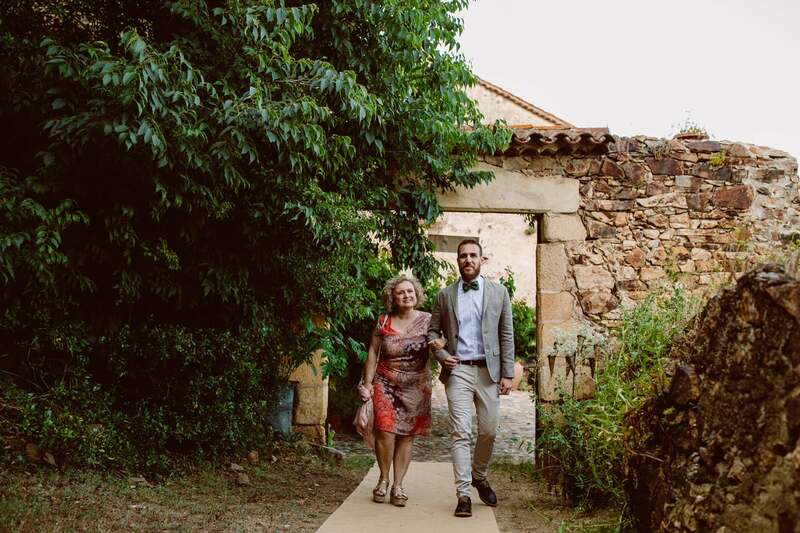 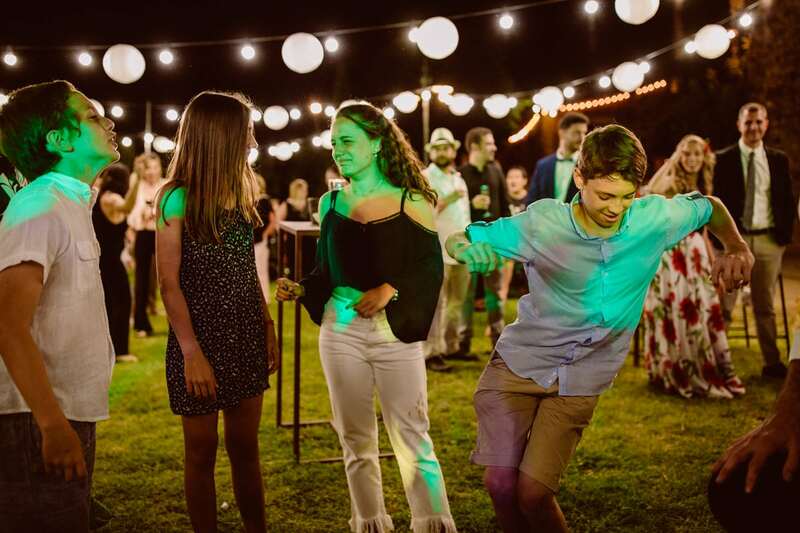 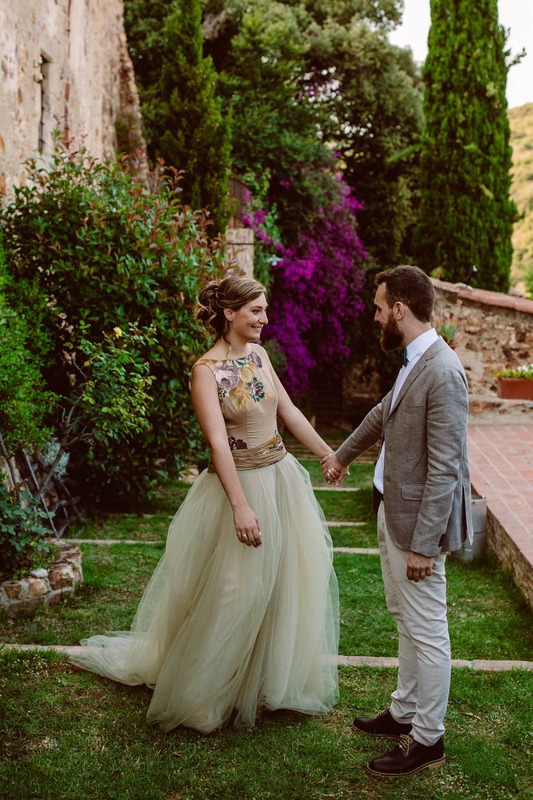 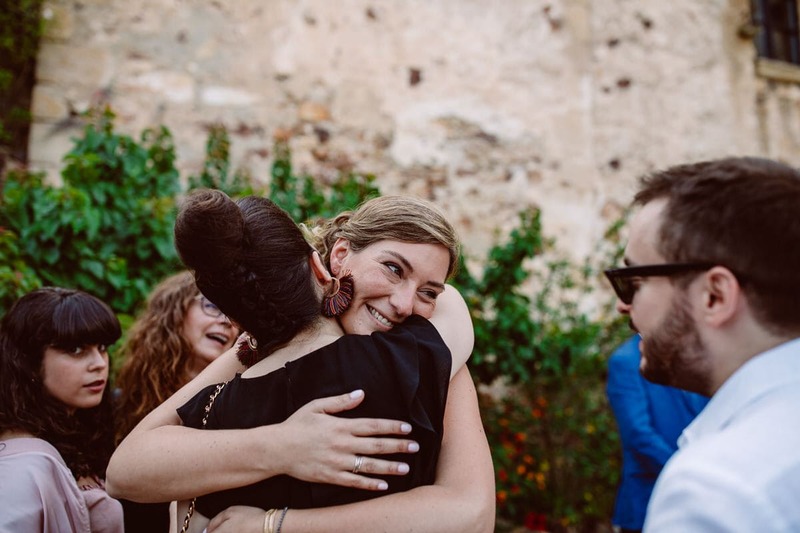 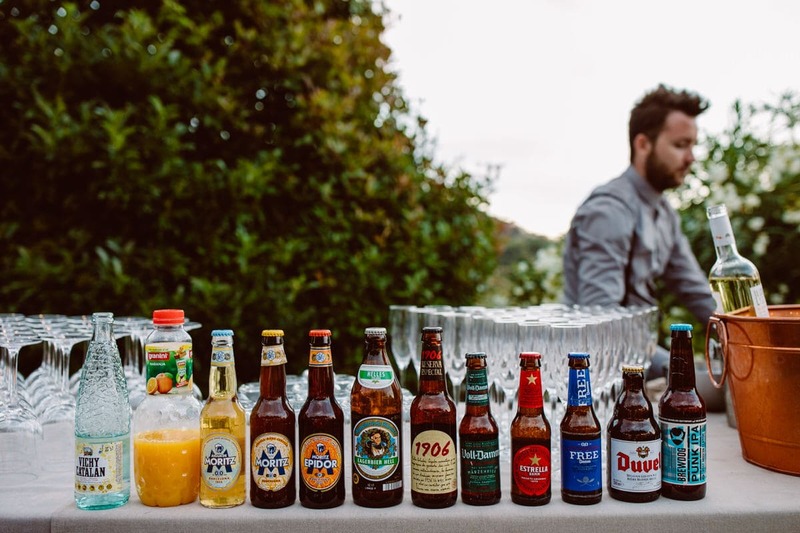 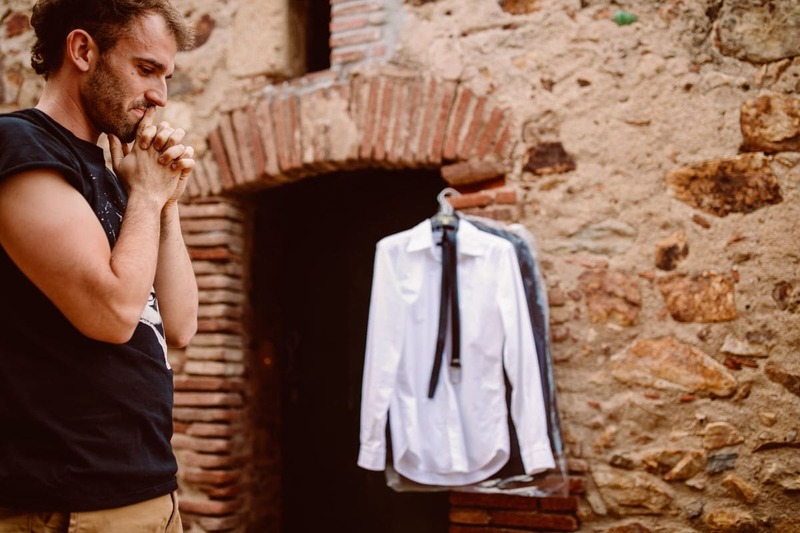 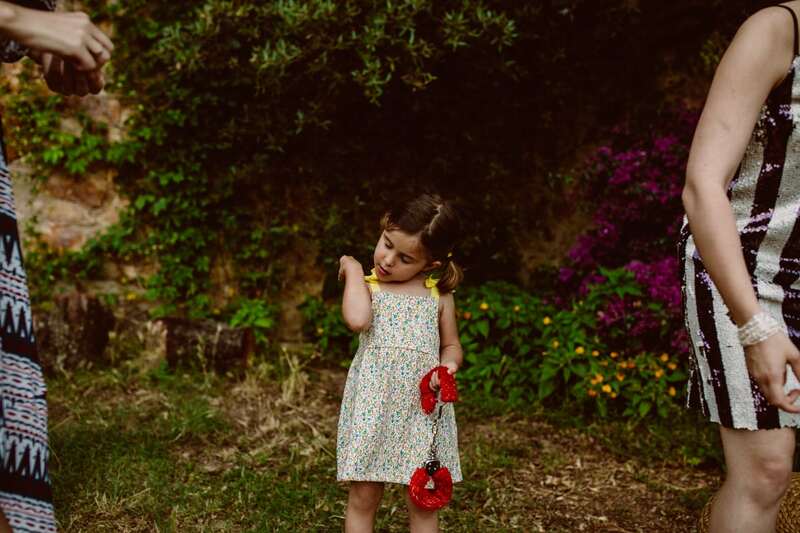 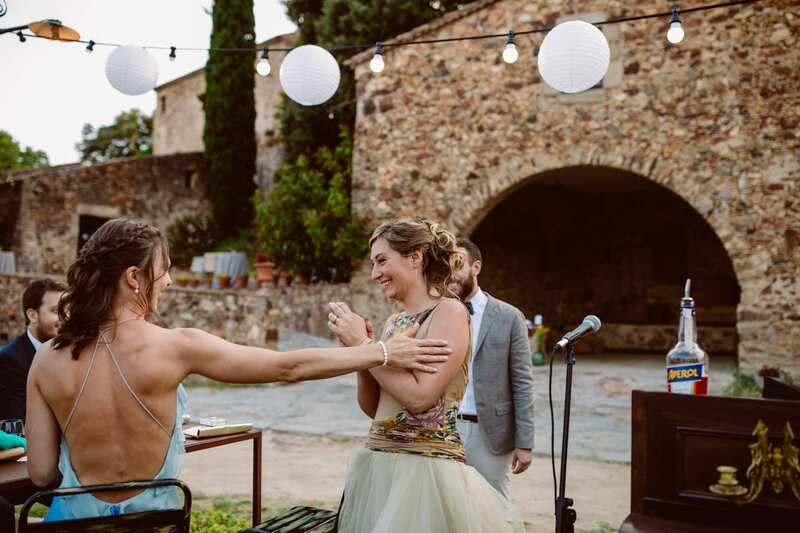 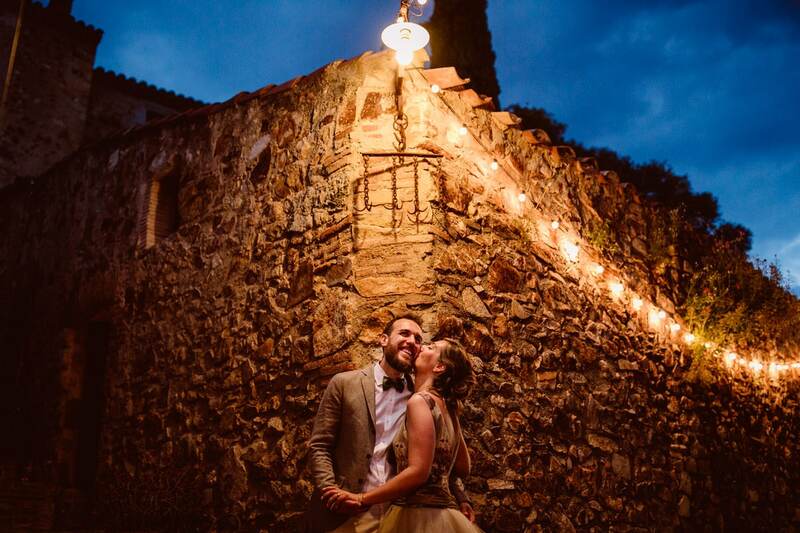 They chose this venue because it´s a typical catalan masia of that area: ancient stone buildings, nature surroundings and very close to the beach. 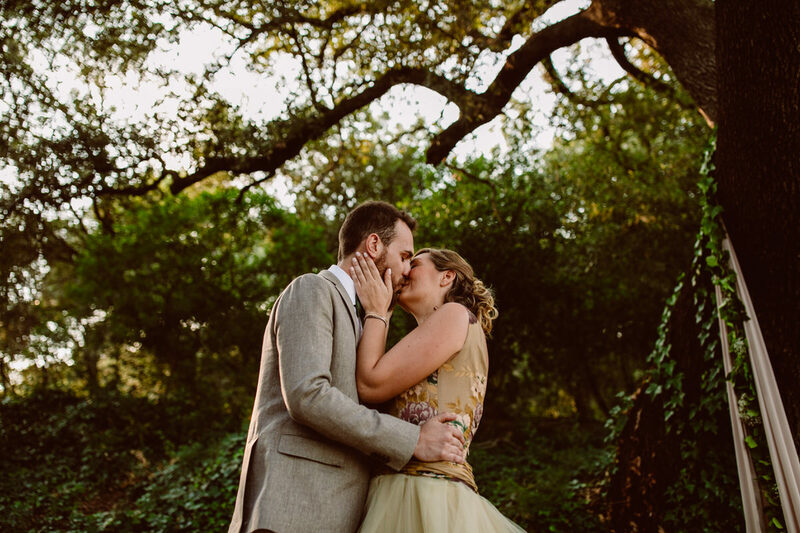 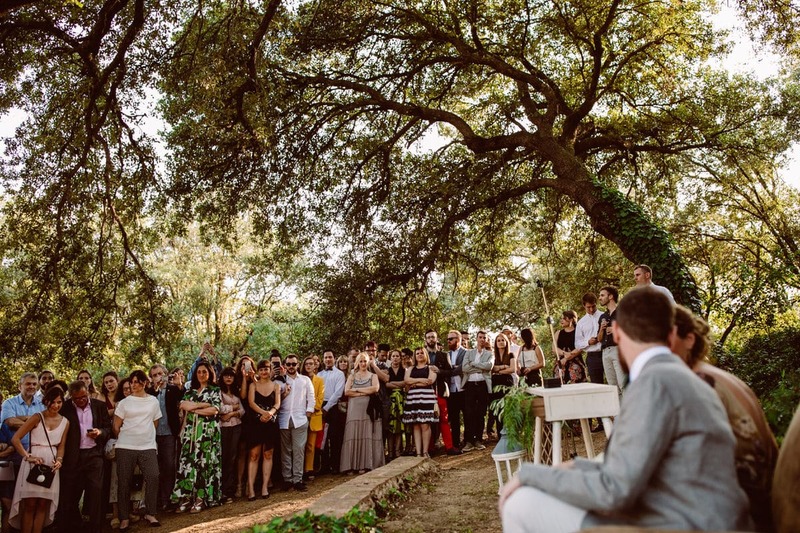 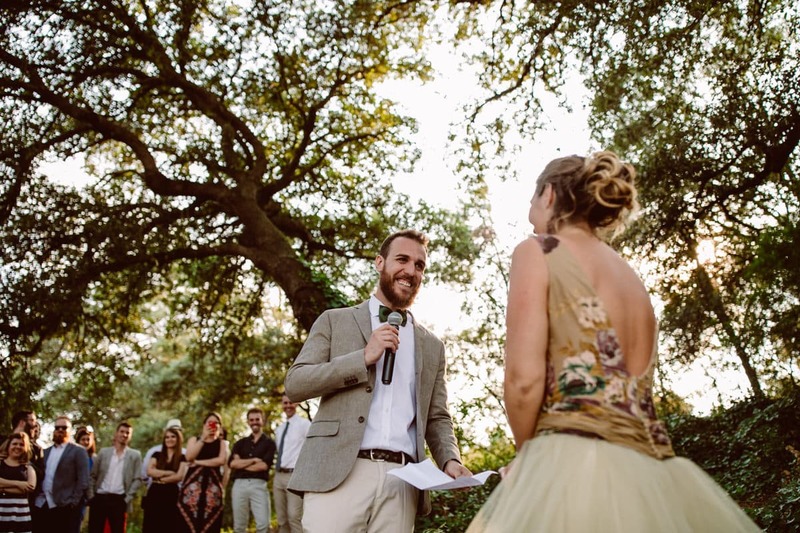 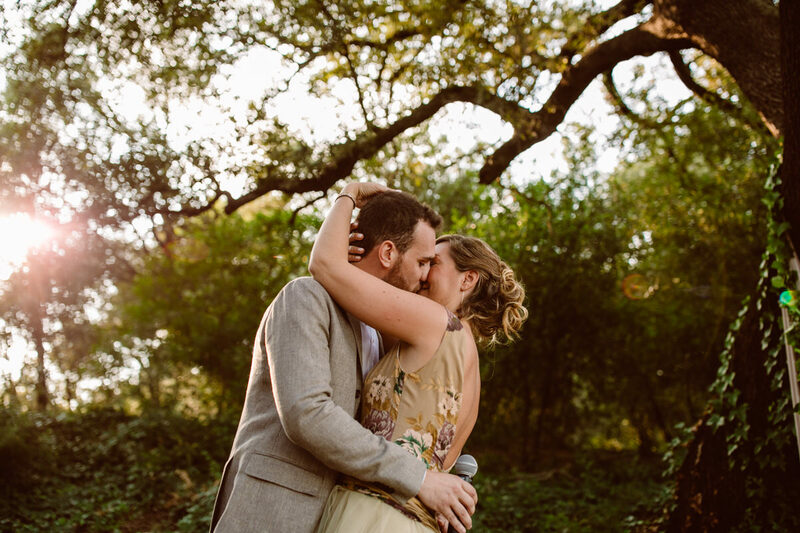 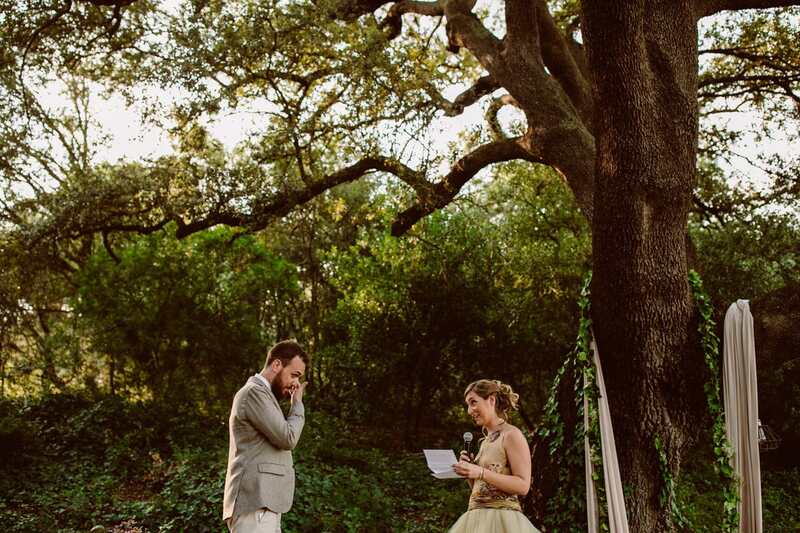 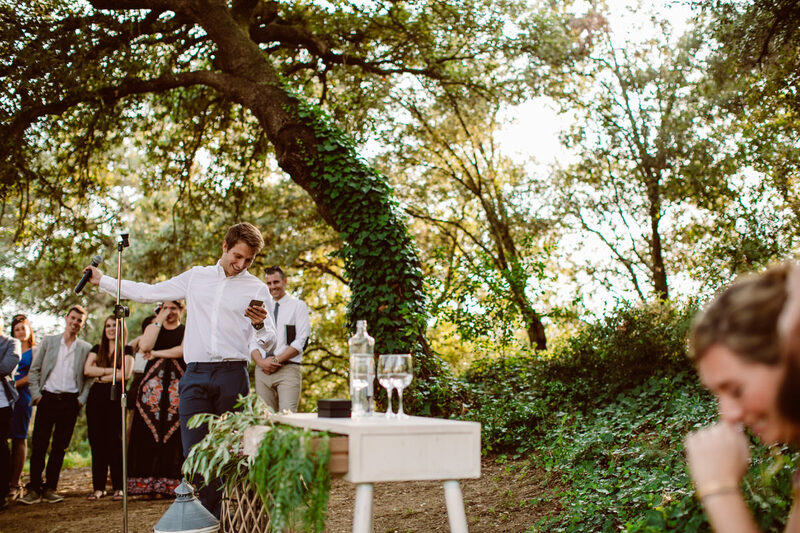 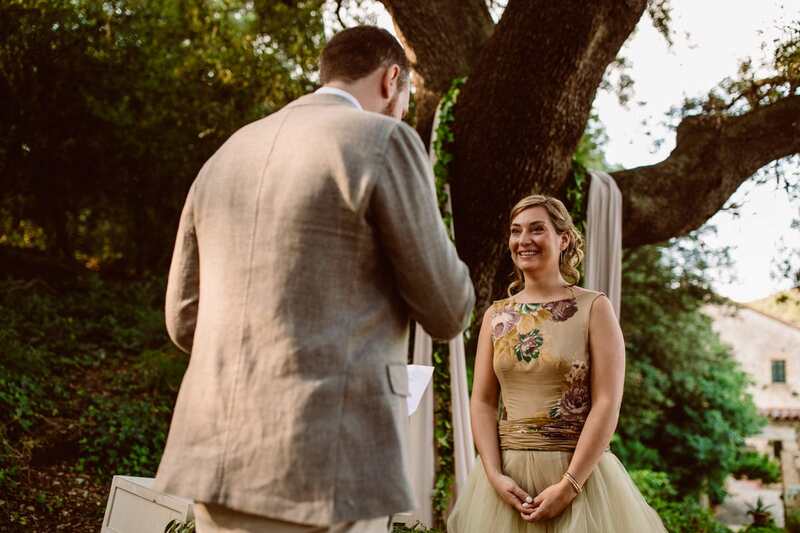 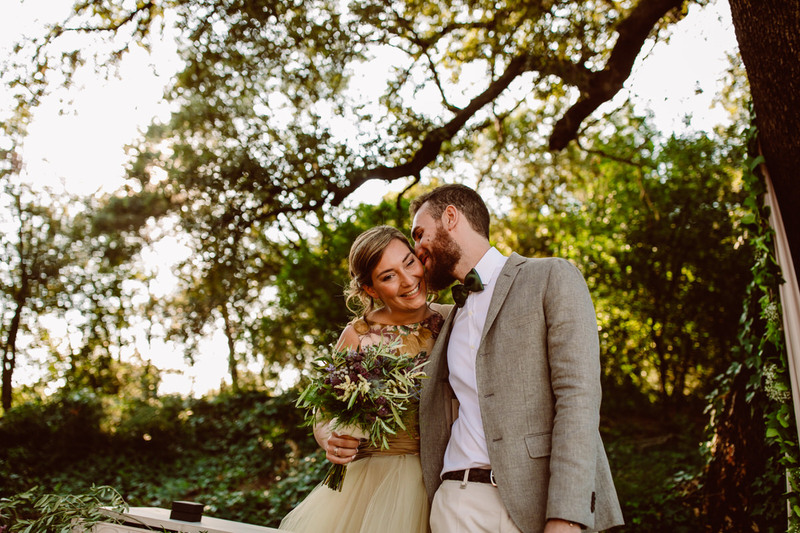 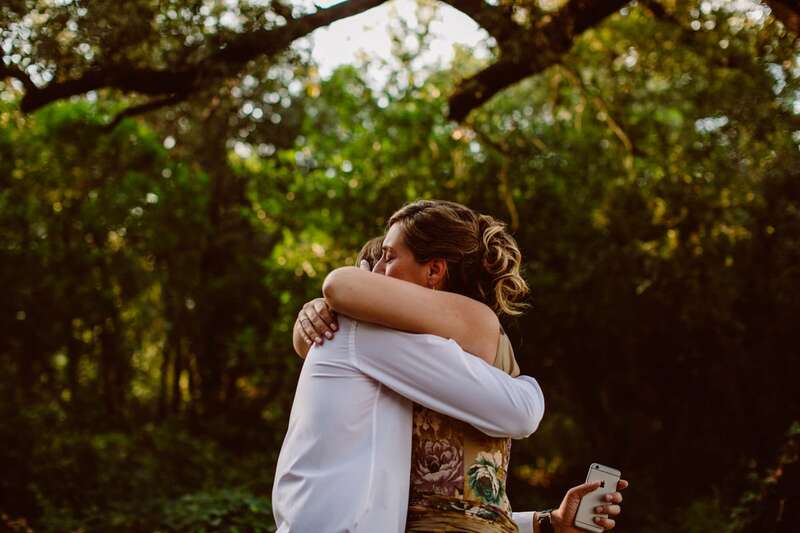 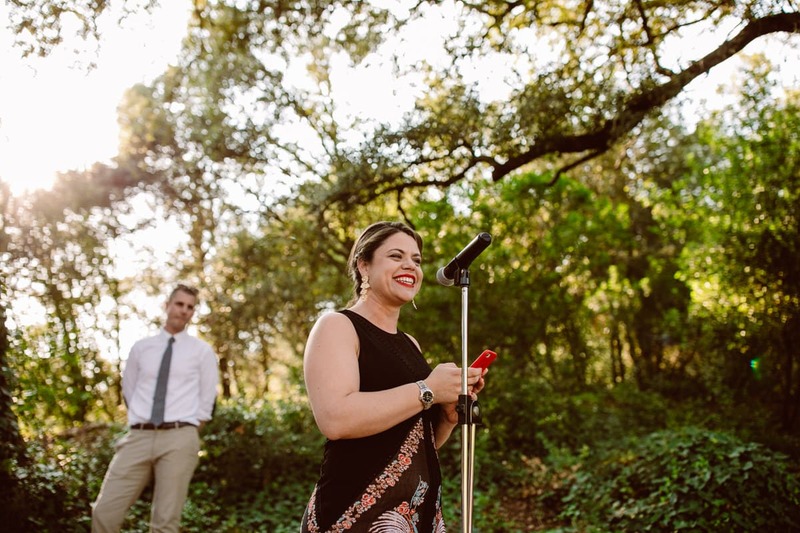 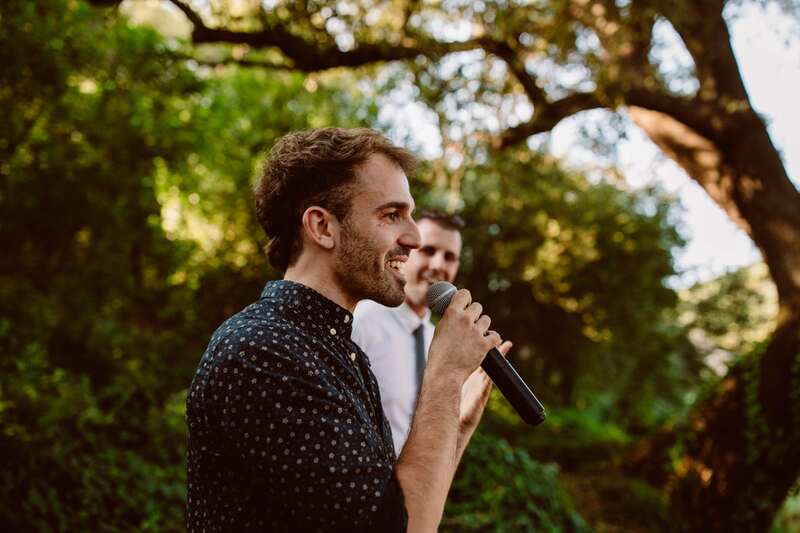 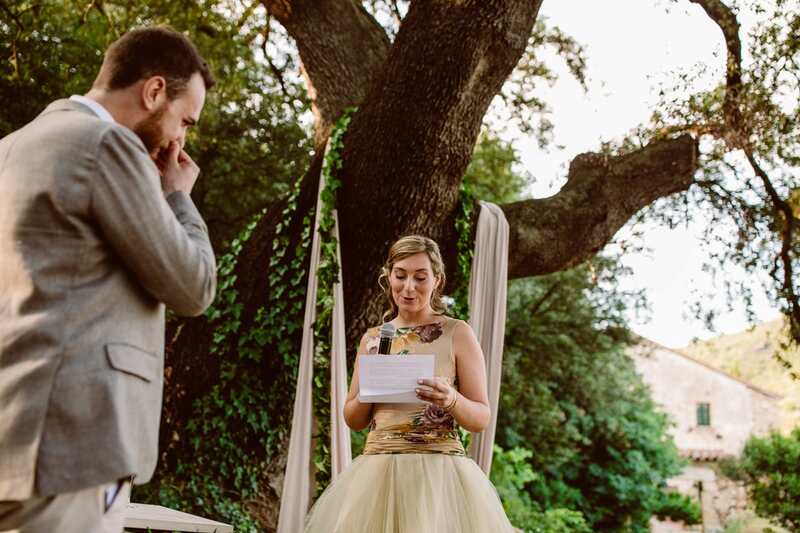 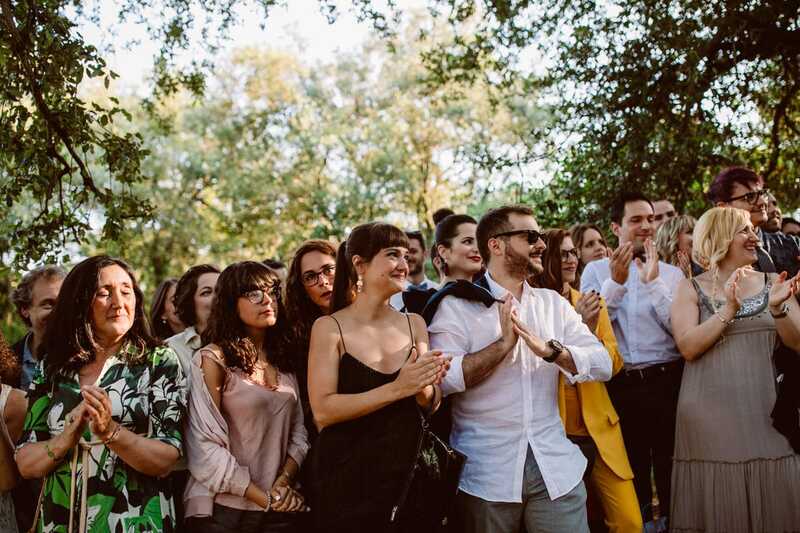 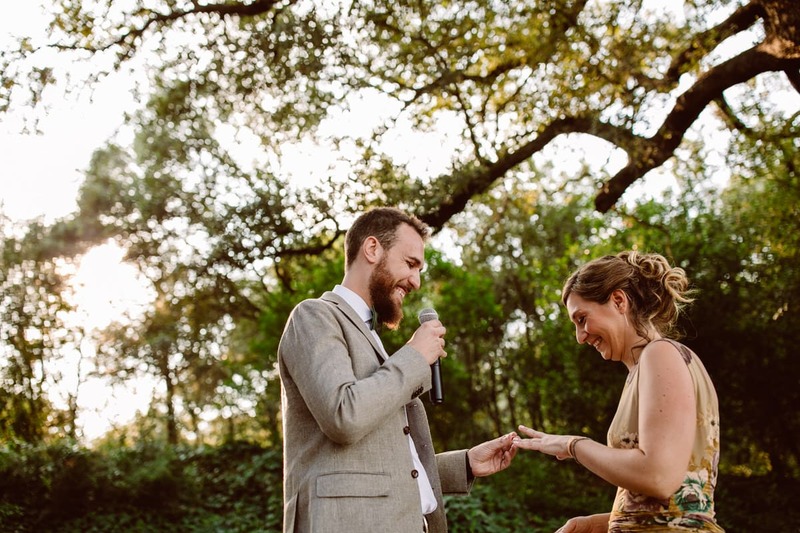 Their ceremony was in a beautiful small forest close to the masia and the big party after that was in the wonderful outdoors area of the masia.